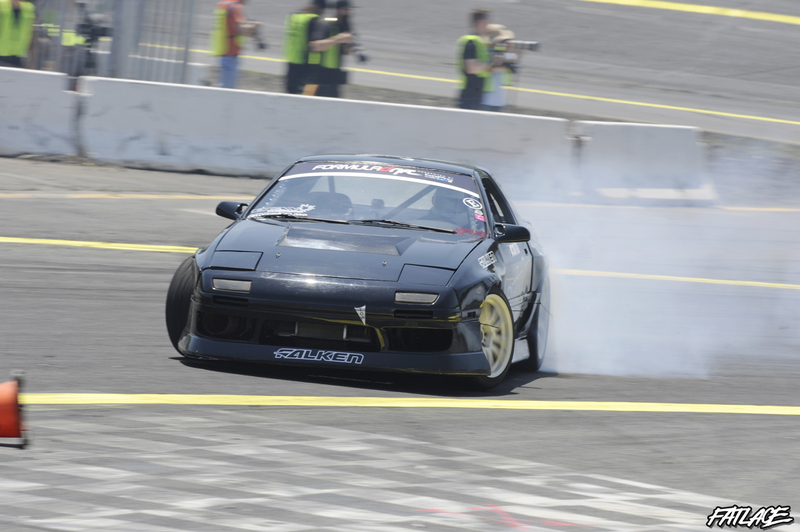 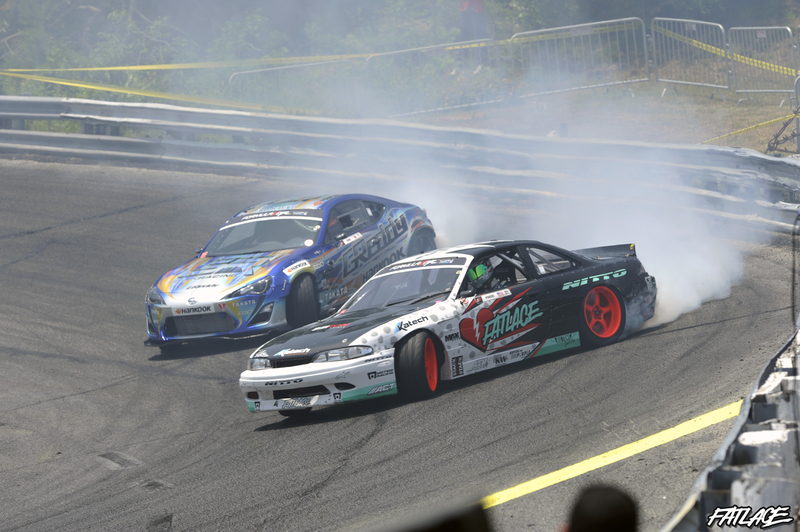 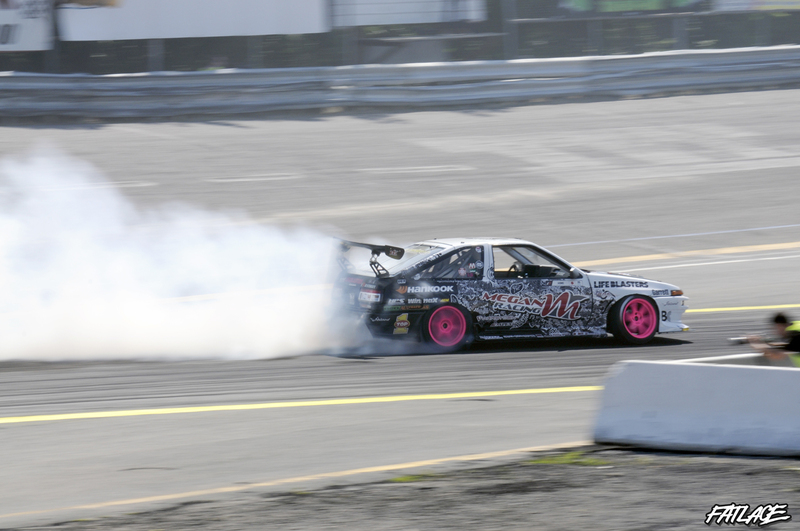 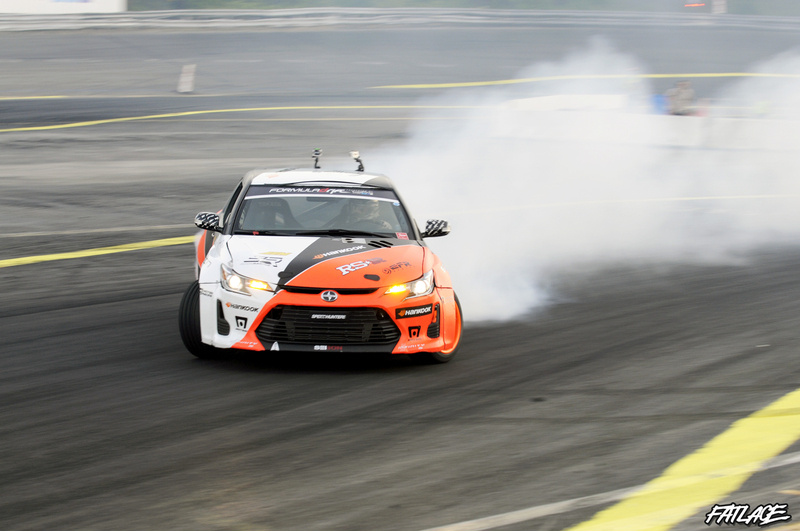 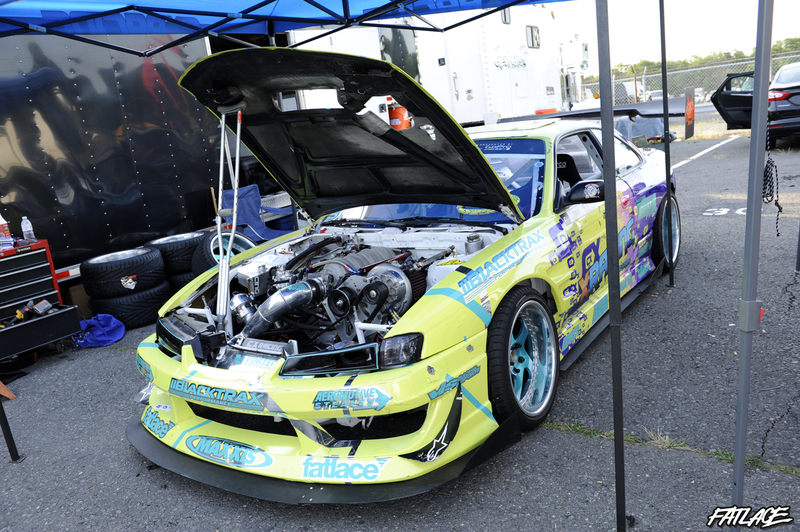 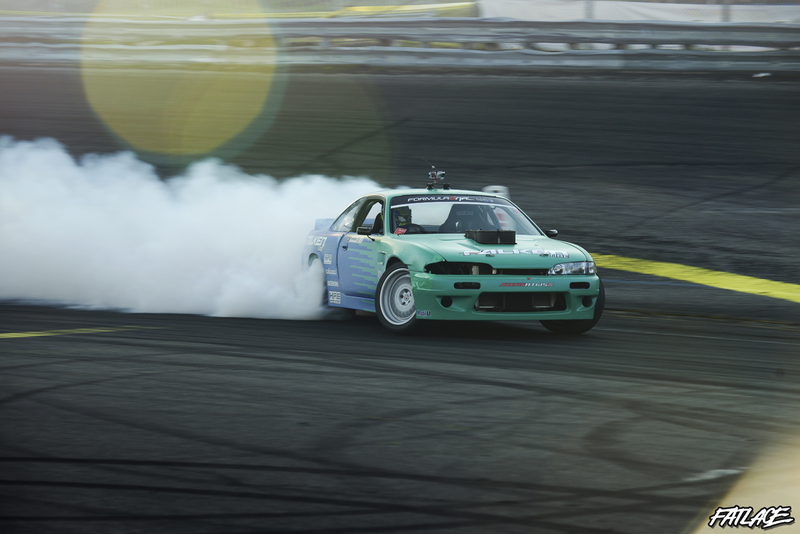 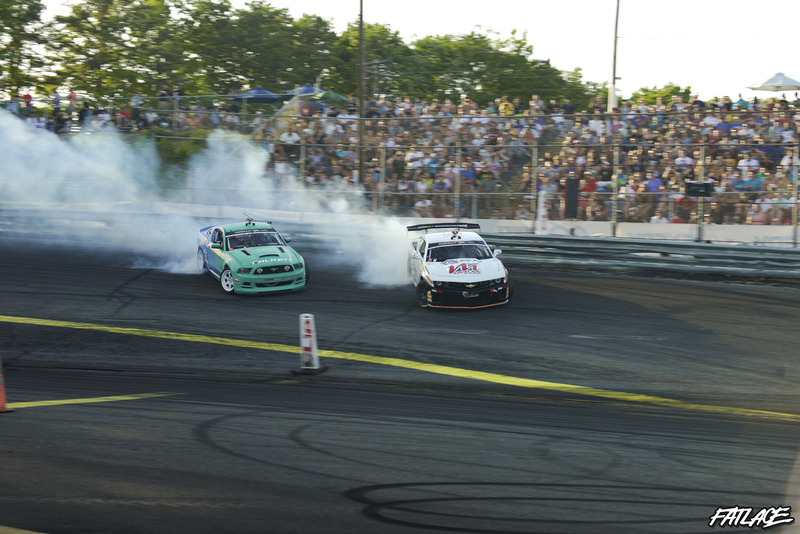 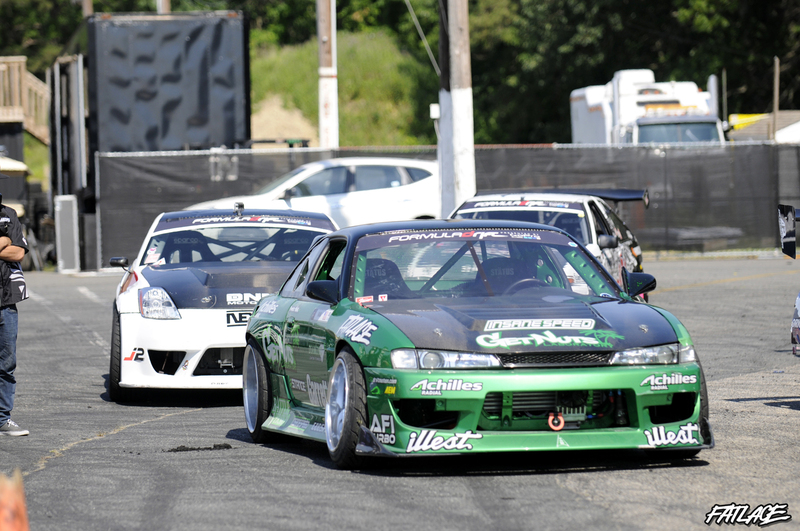 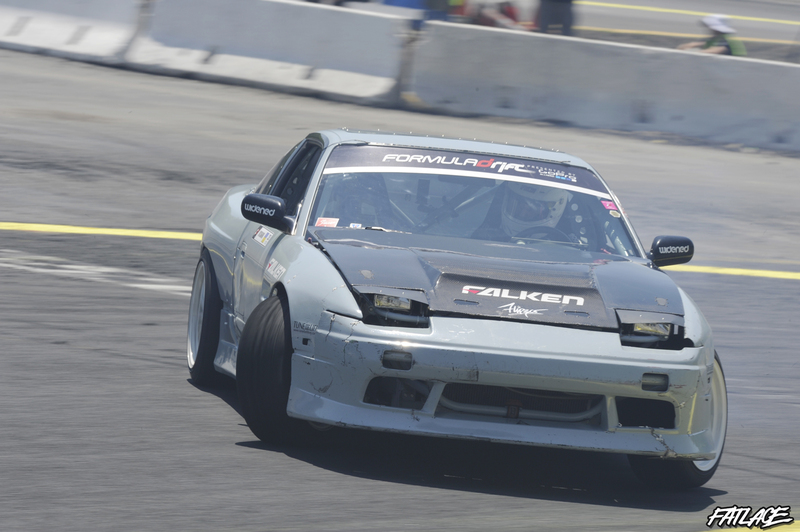 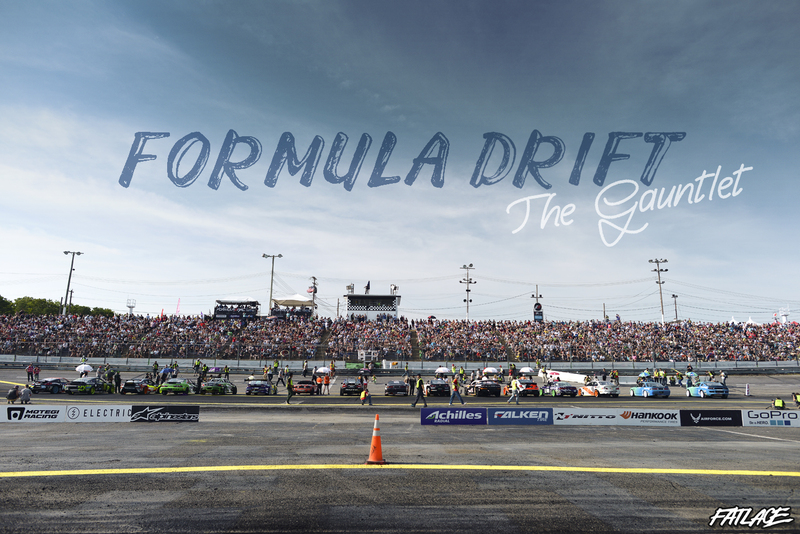 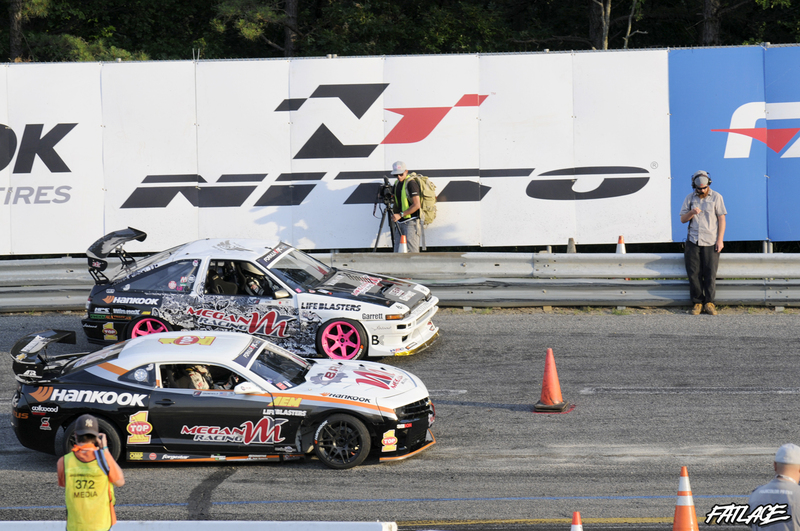 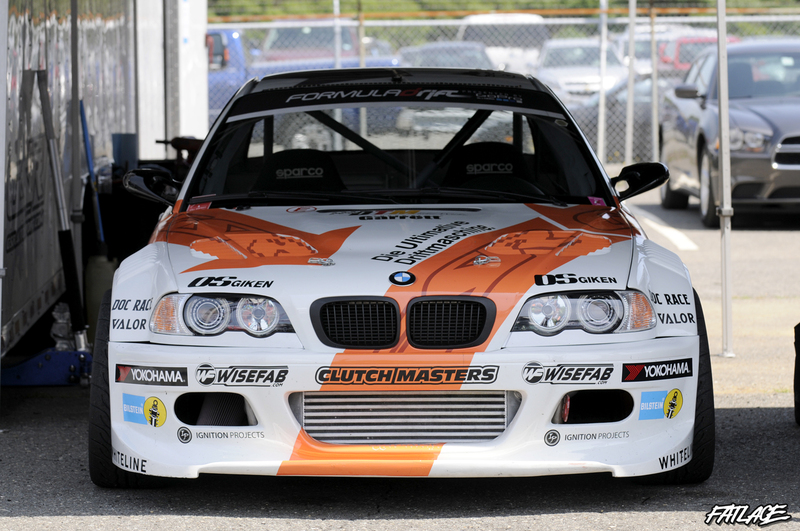 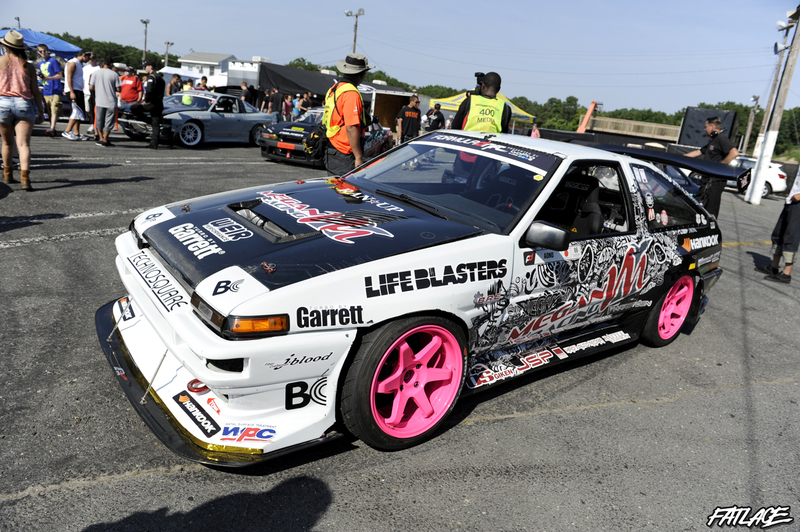 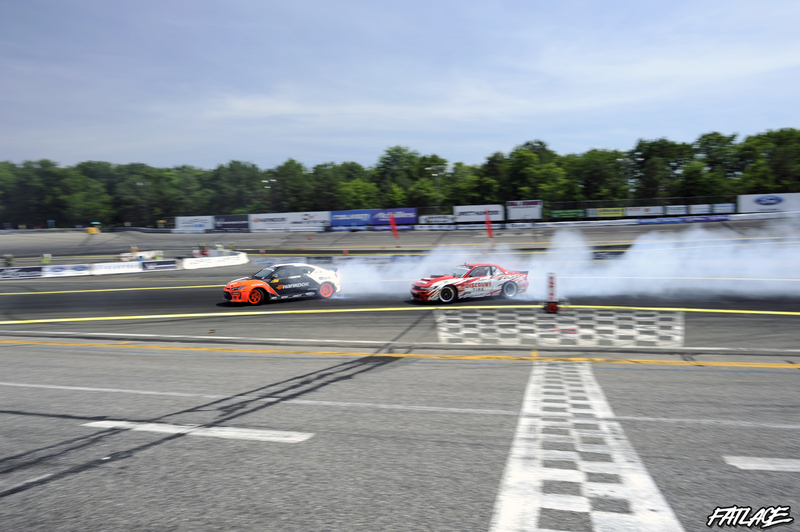 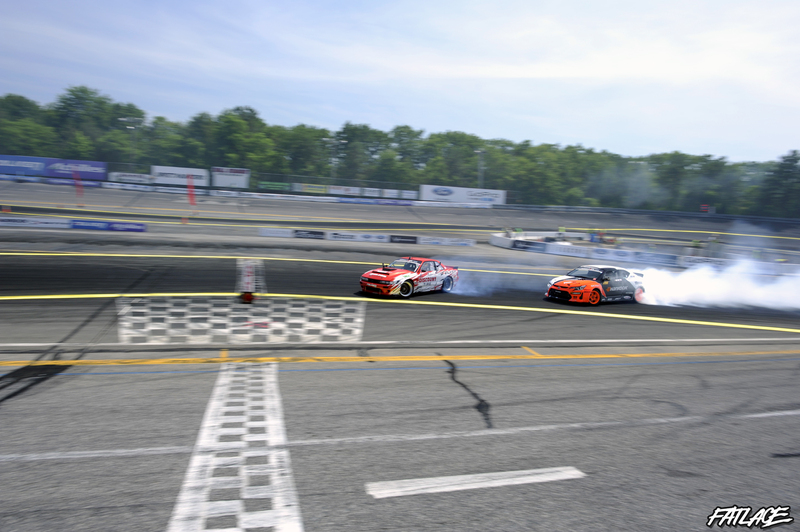 Formula-D round 4, The Gauntlet, returns to the Wall Speedway in New Jersey to show the North East what drifting is all about. 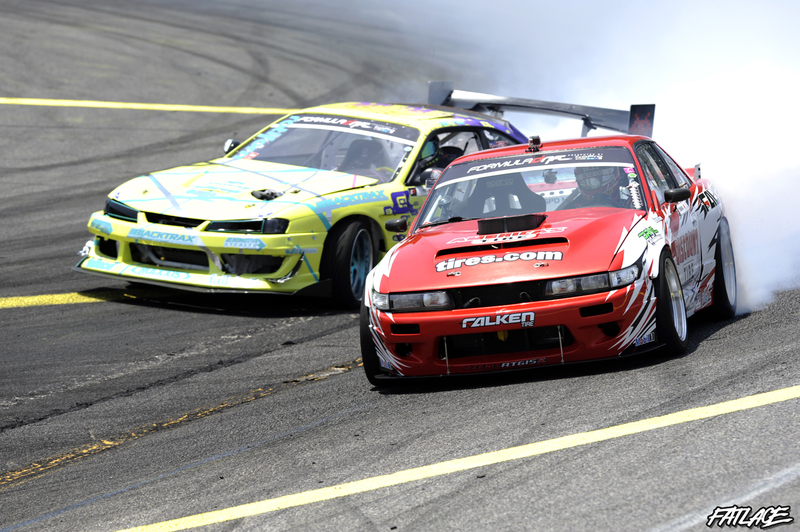 The fight for the championship gets heated as Achilles / Bridges Racing driver, Daigo Saito, increases his point lead by beating the field for the second time this season. 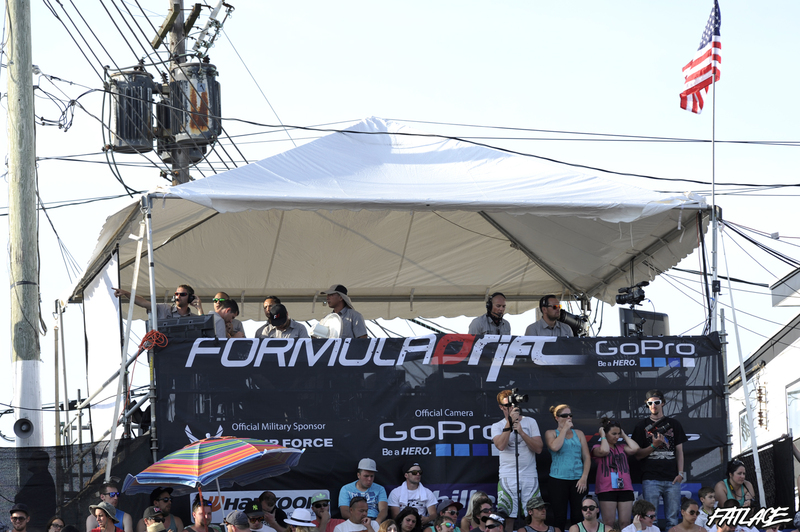 The Wall stadium was sold out, and jam-packed, with a very enthusiastic crowd of fans. 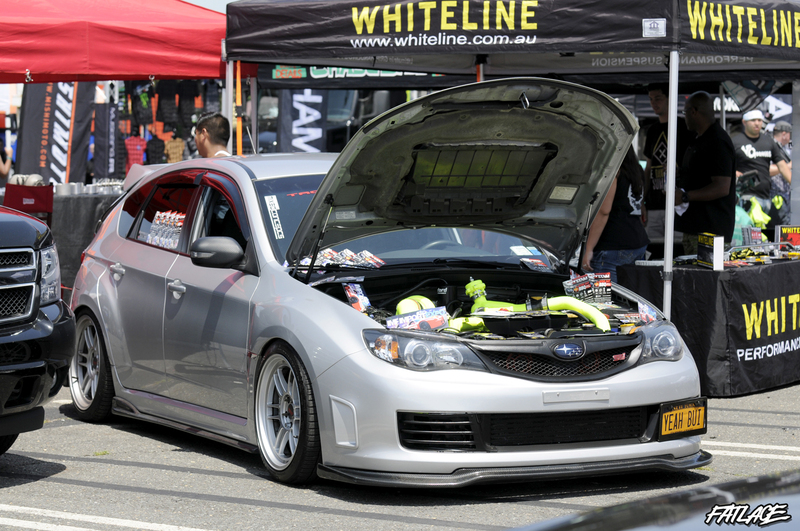 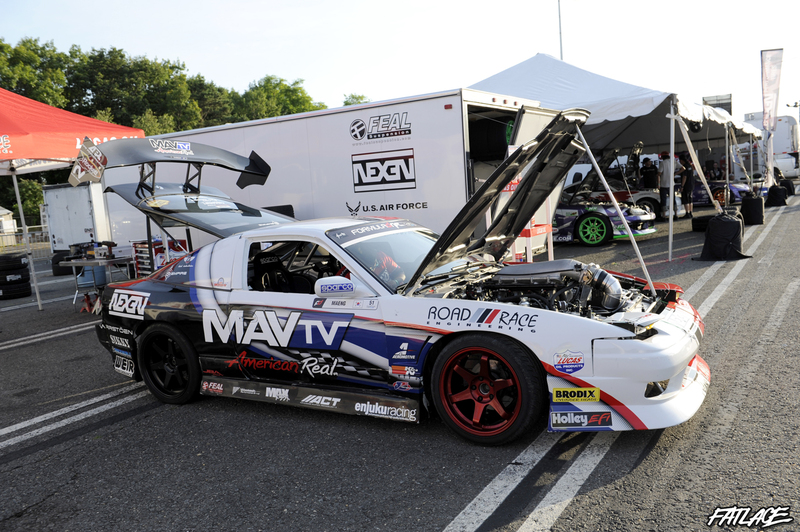 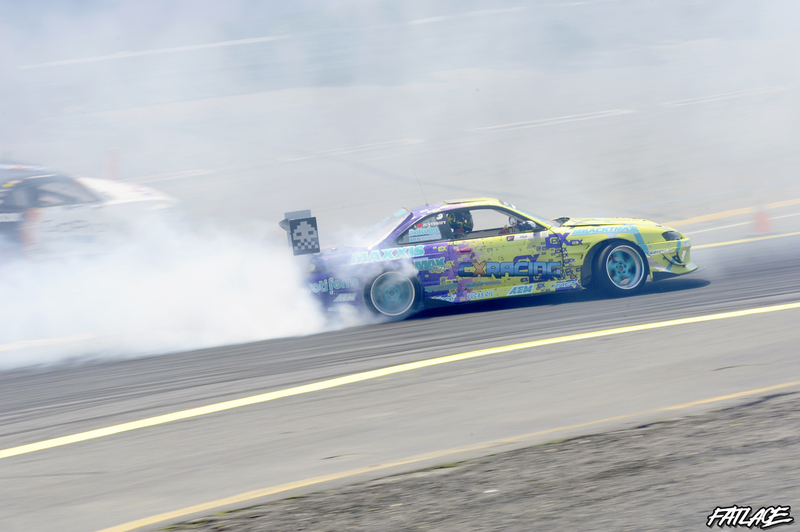 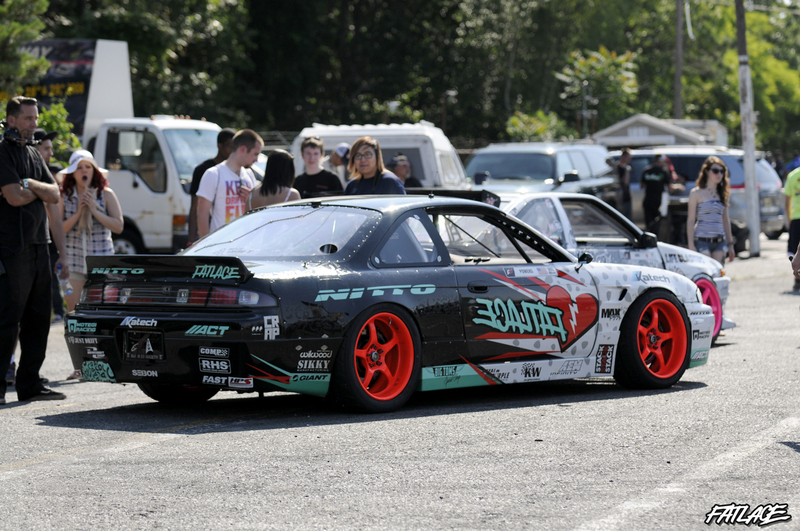 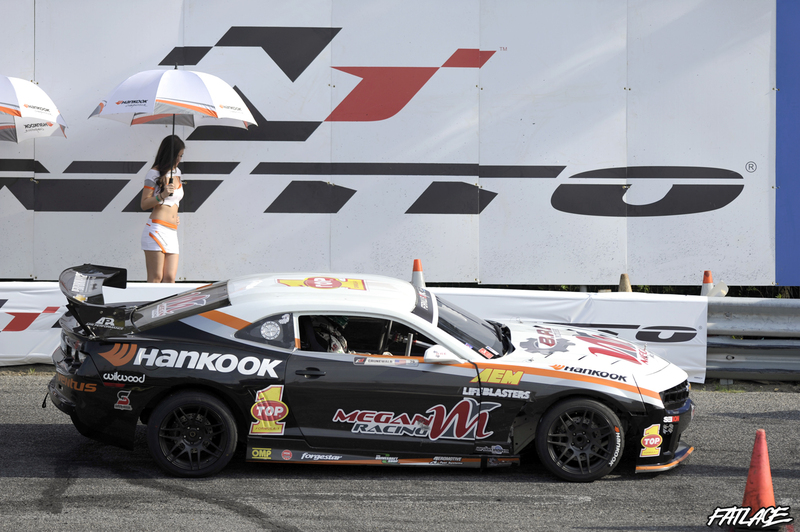 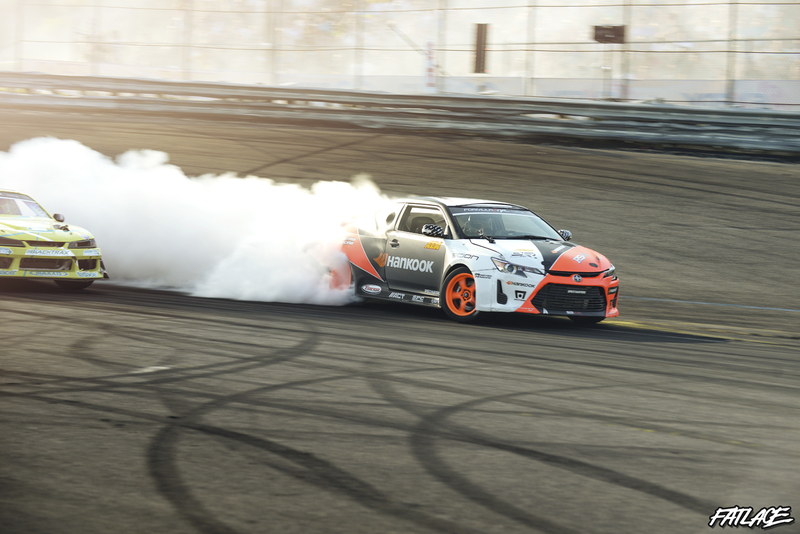 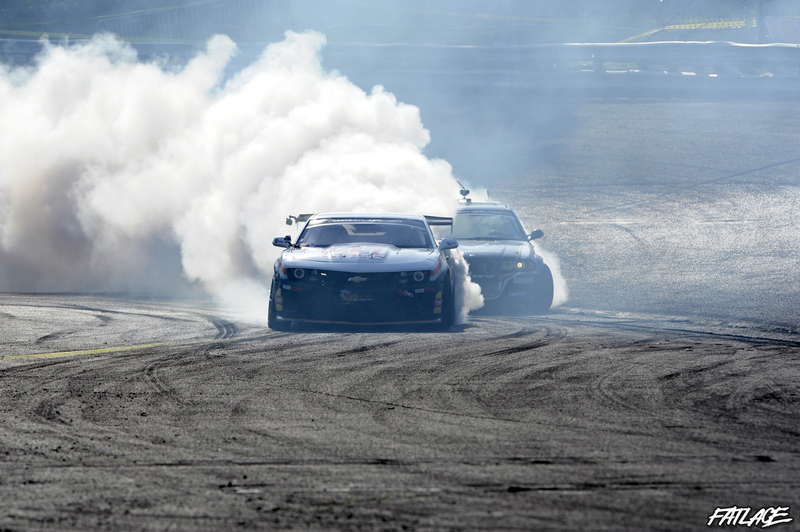 Jim Liaw, president and co-founder of Formula Drift, expressed his gratitude to the fans in a statement to Formula Drift saying: “We are proud to be able to contribute and bring some economic stimulus to the region with our Series. 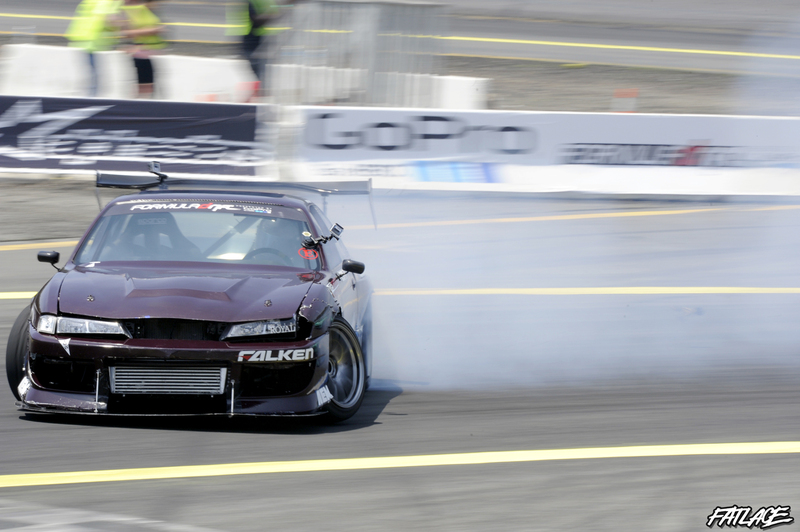 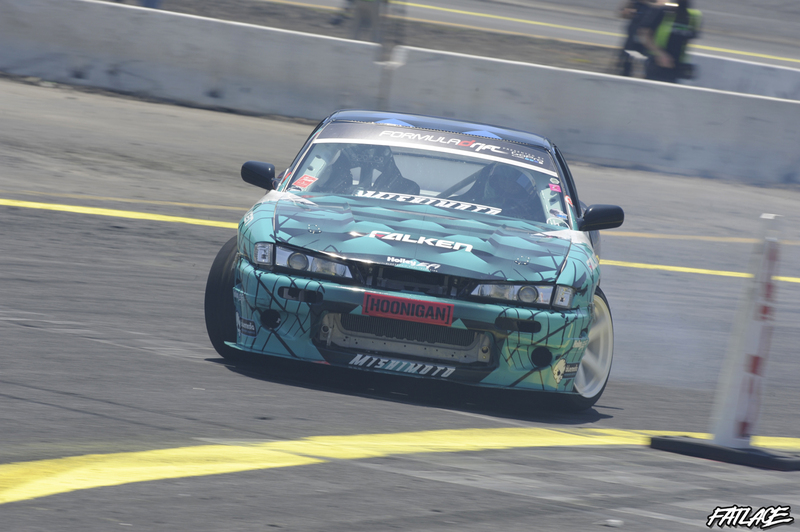 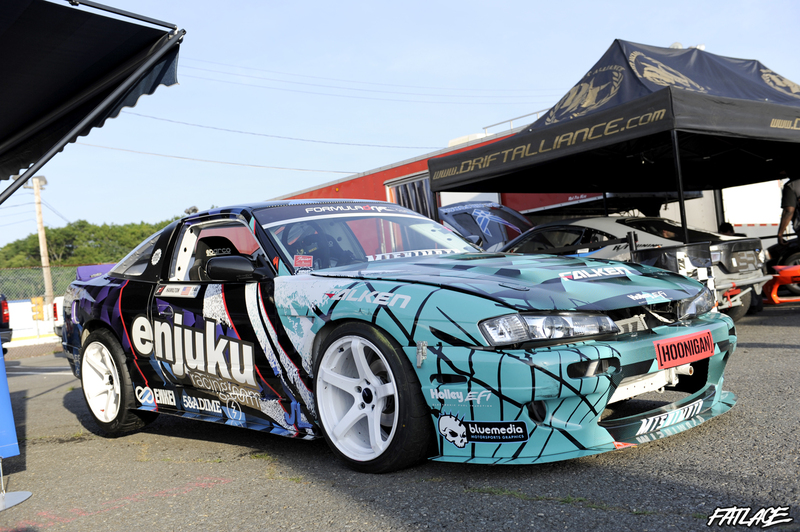 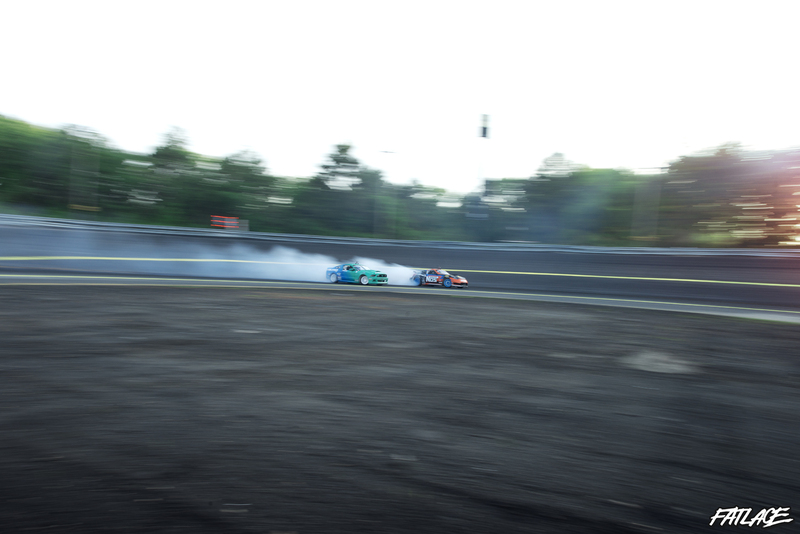 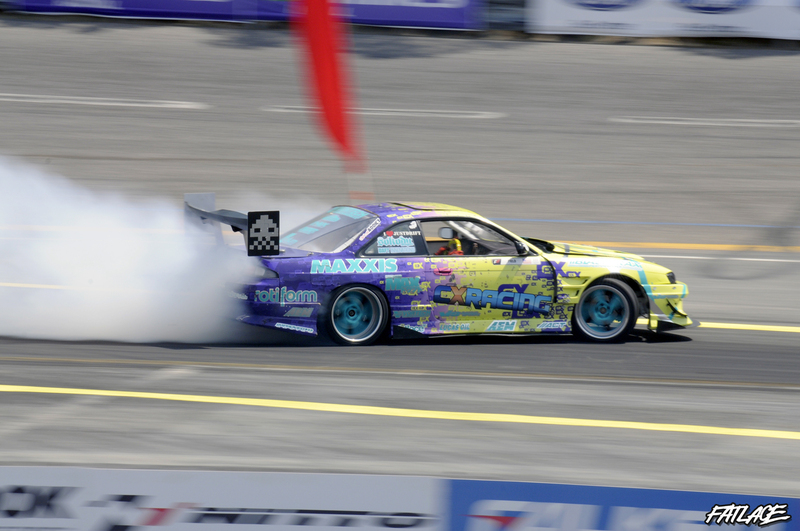 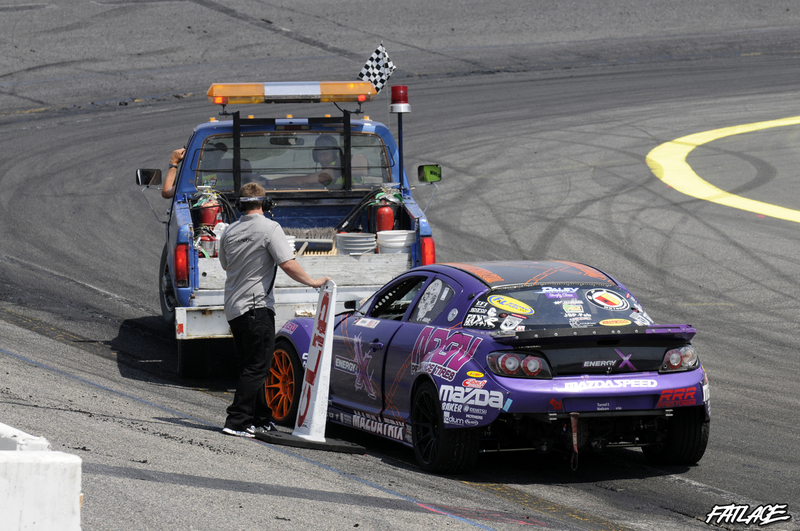 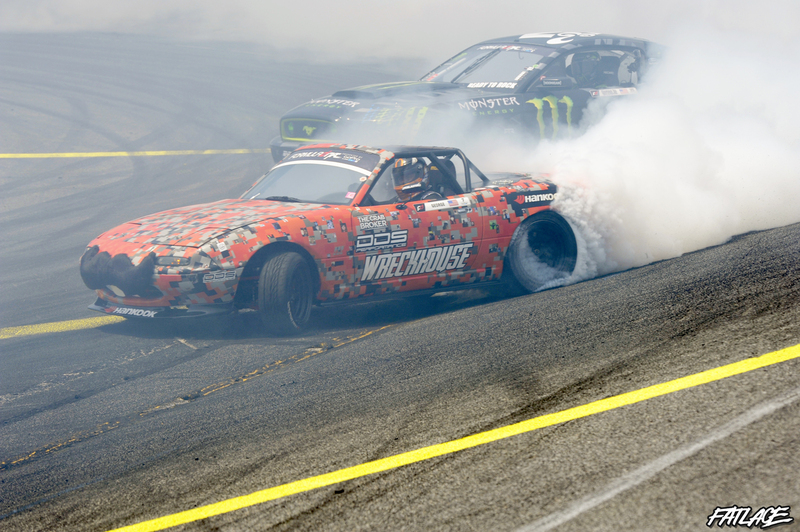 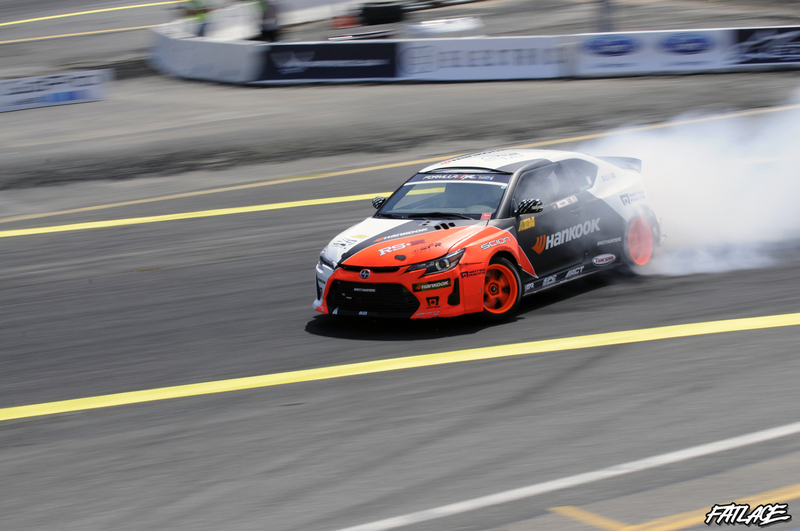 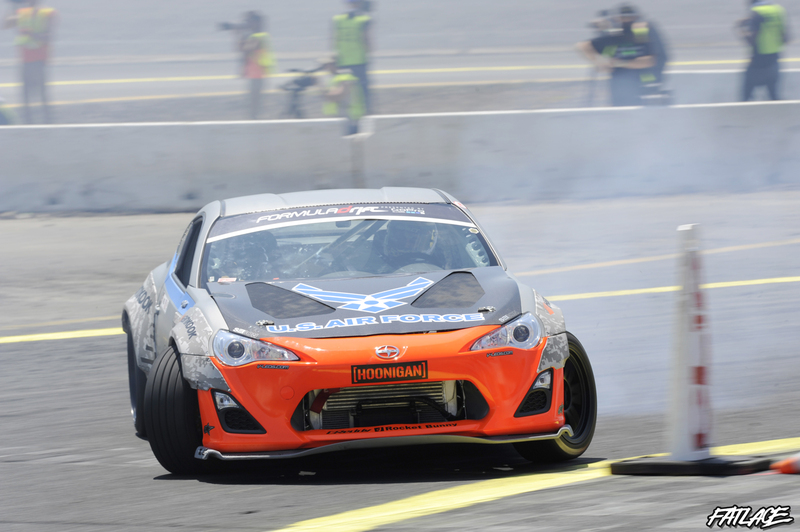 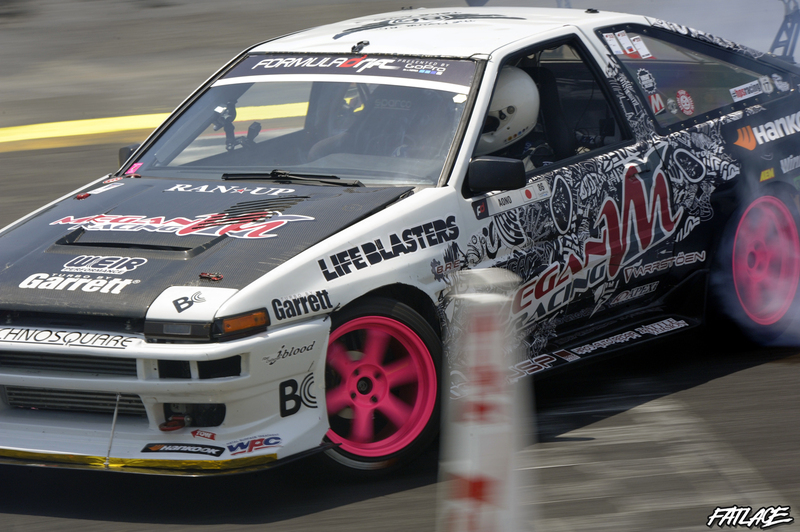 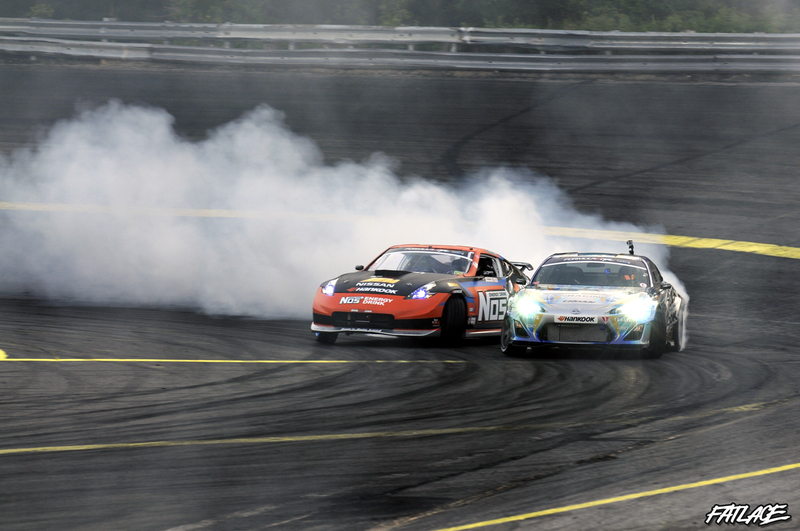 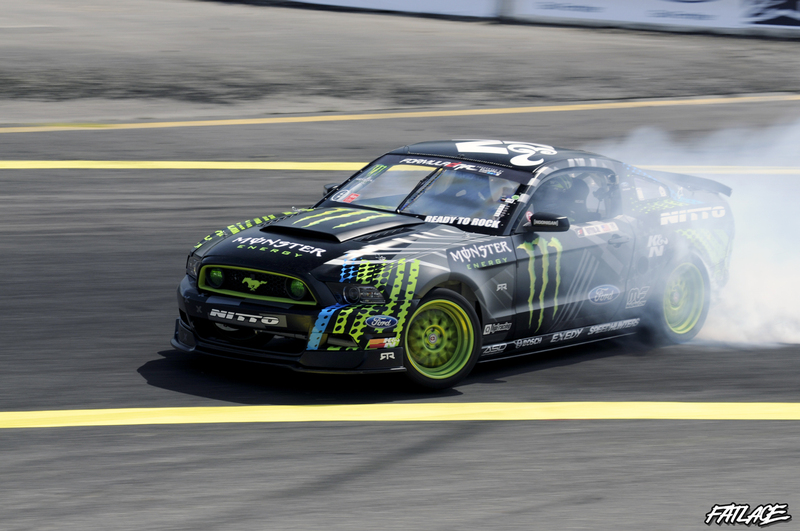 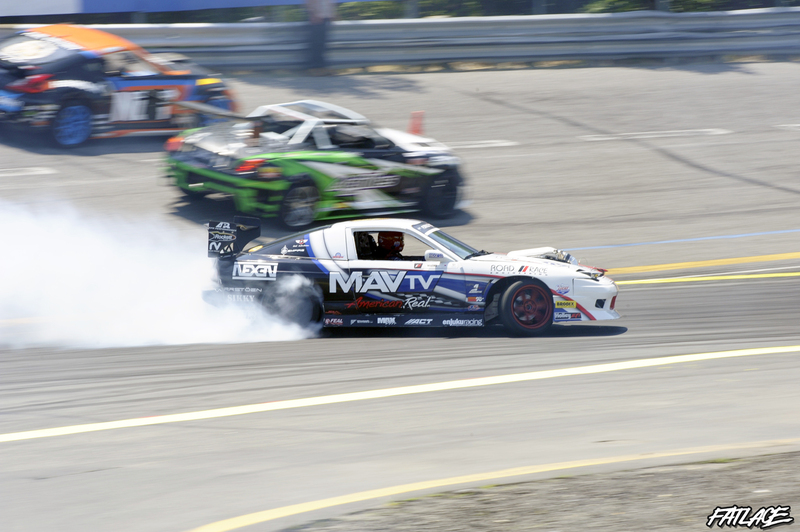 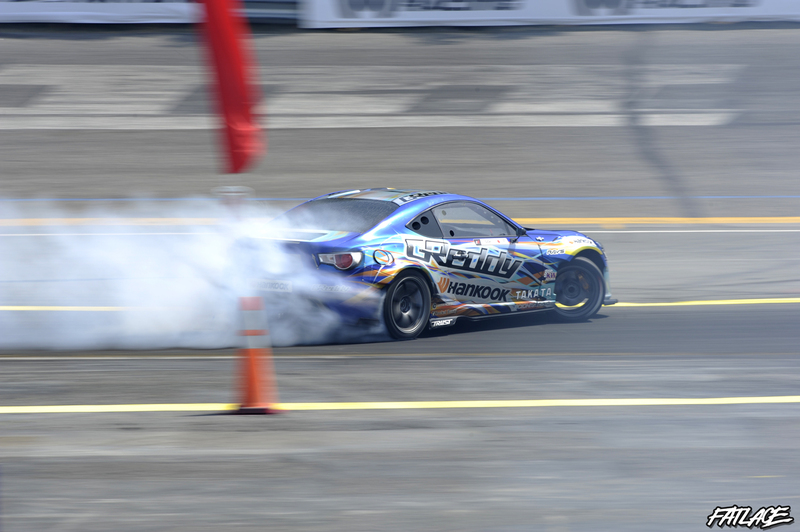 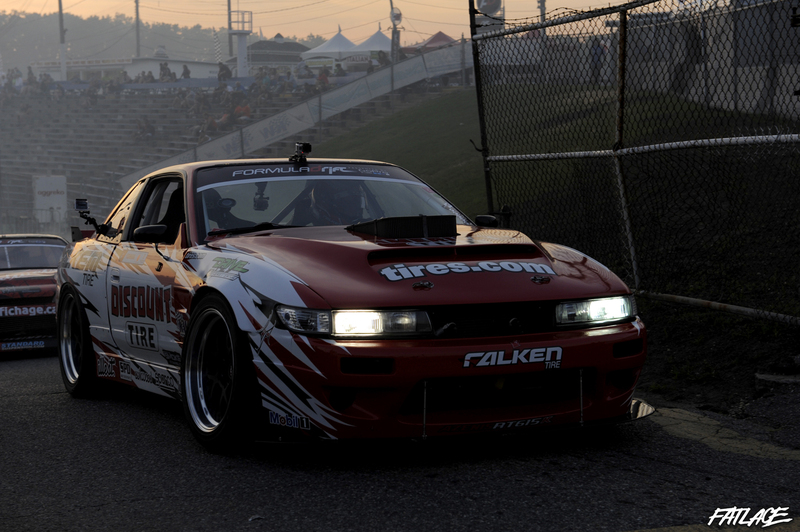 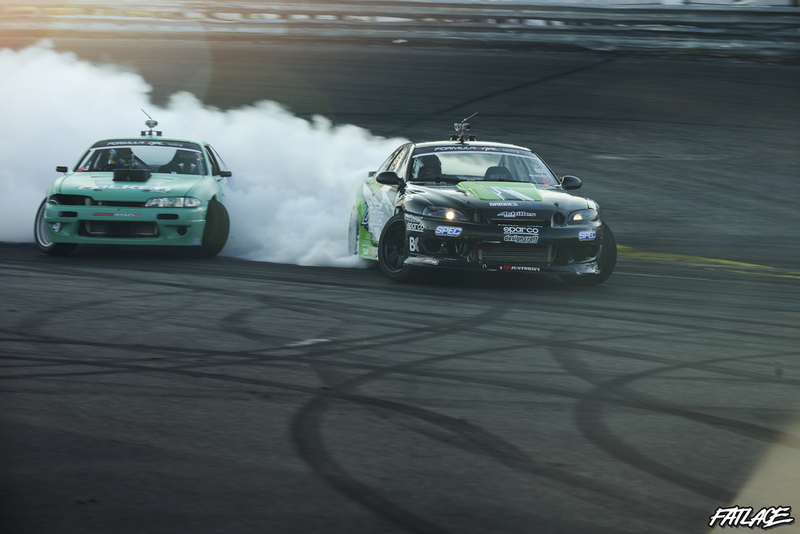 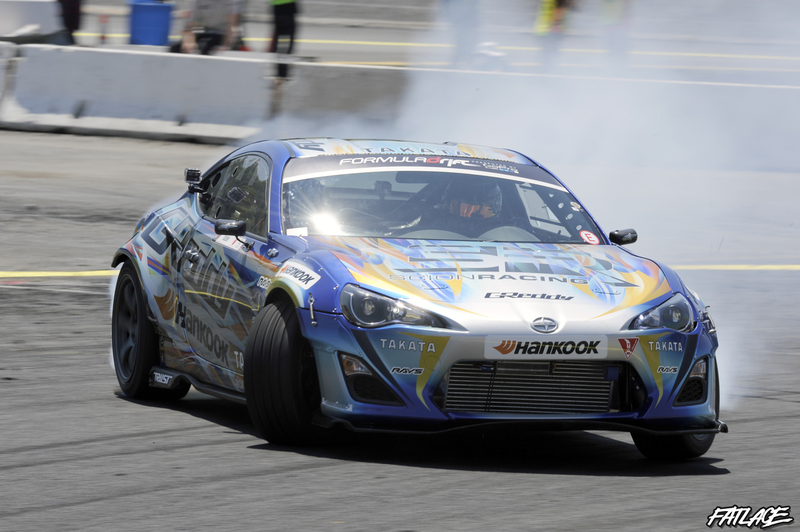 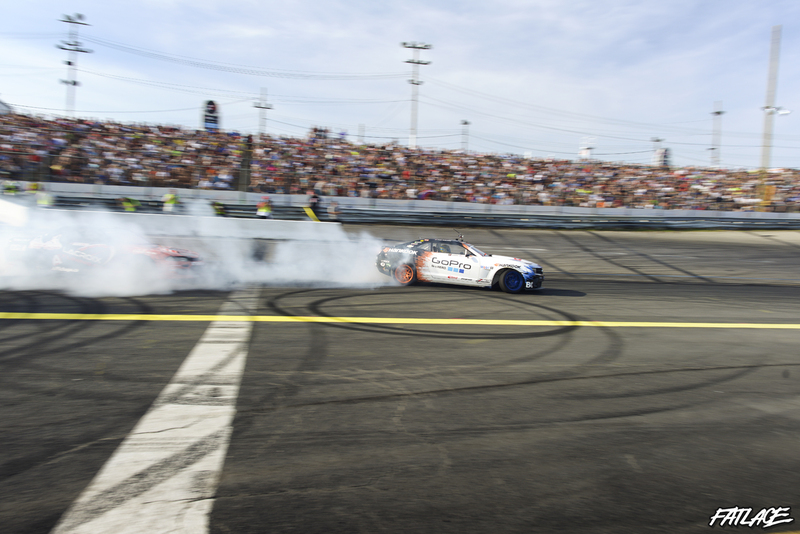 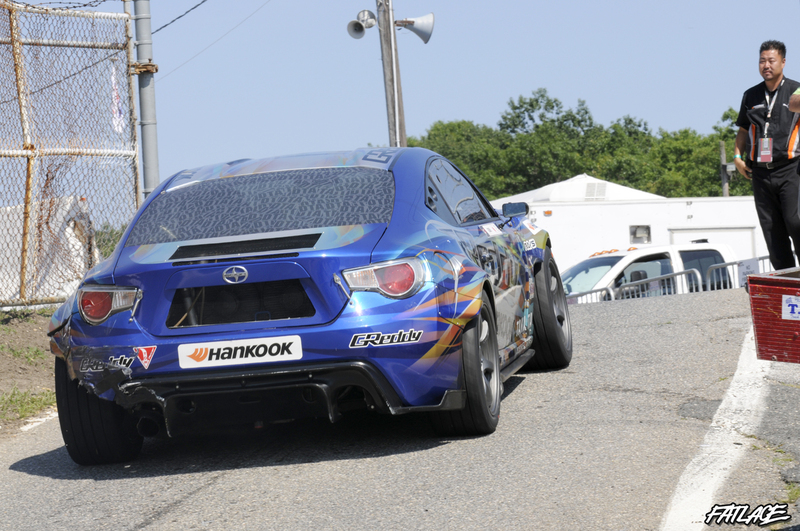 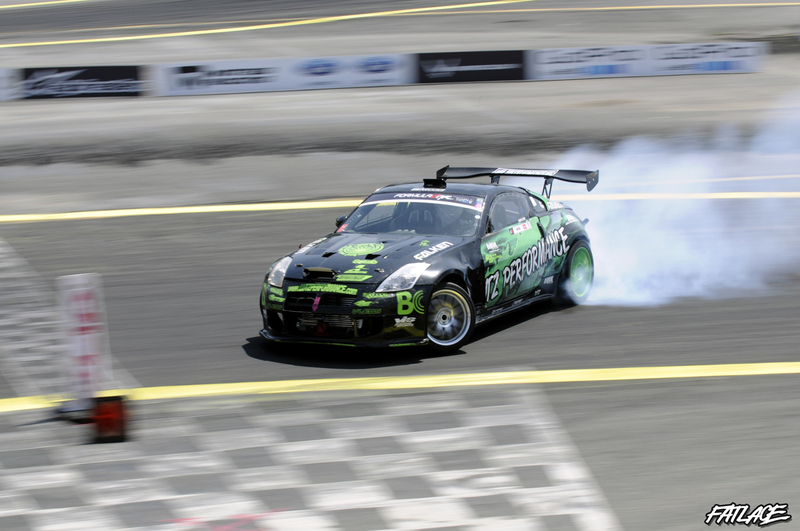 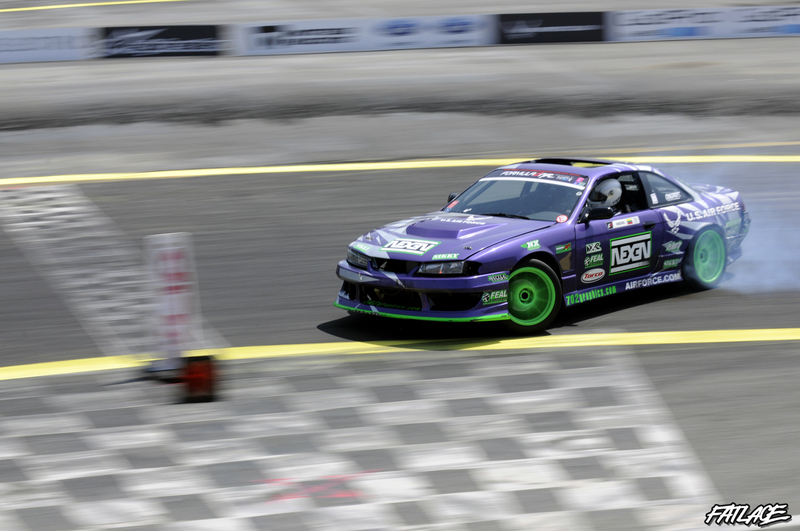 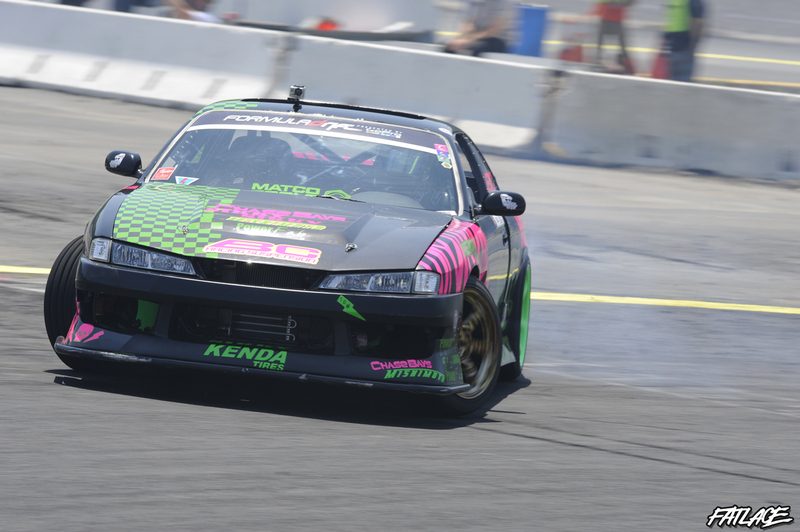 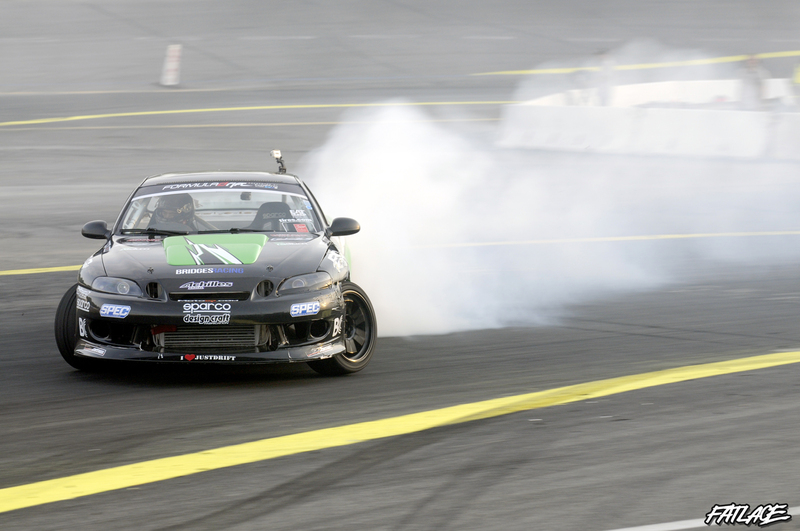 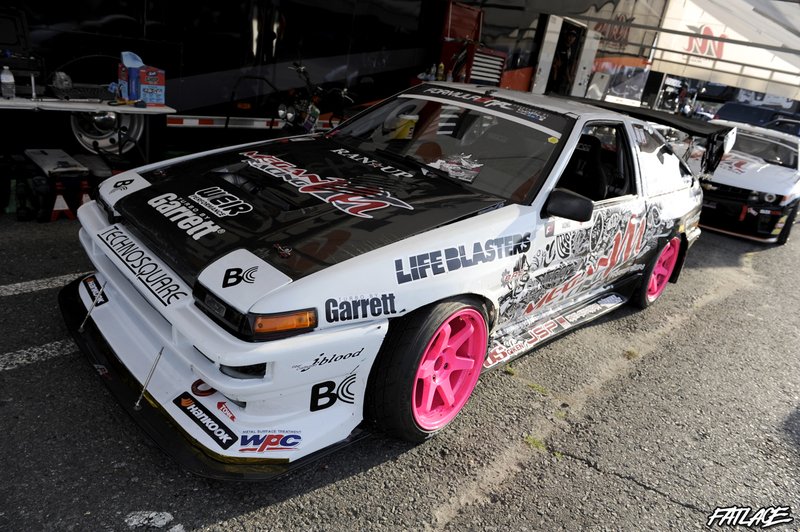 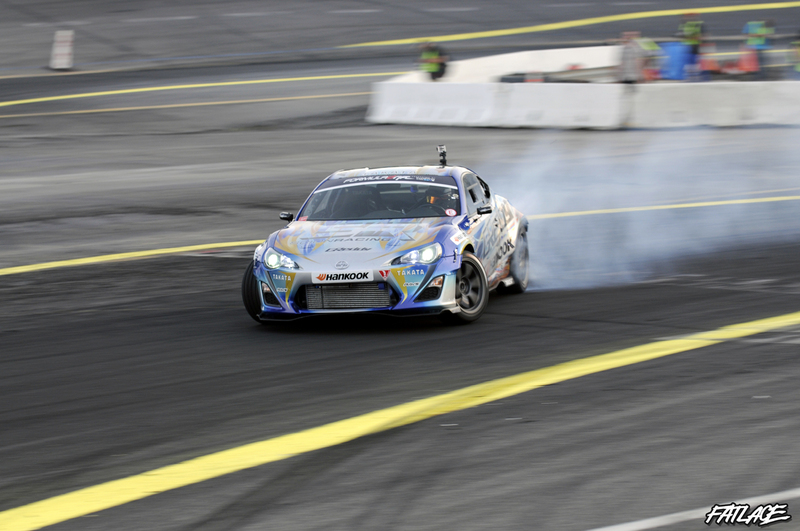 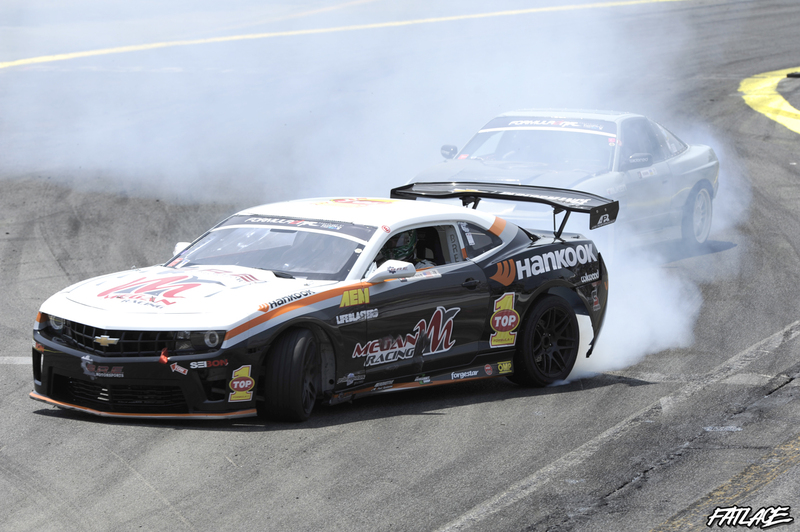 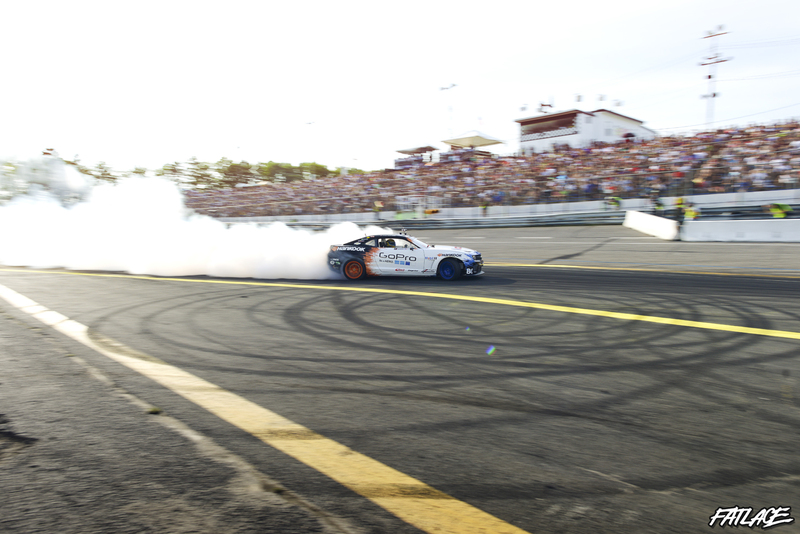 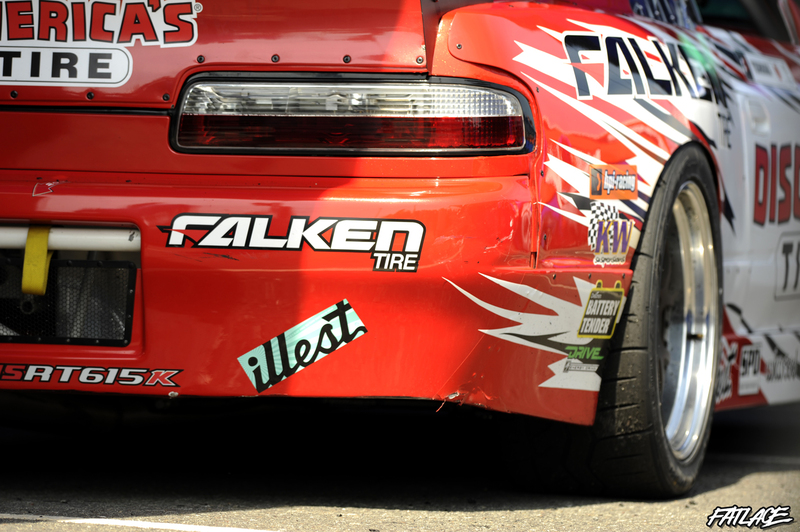 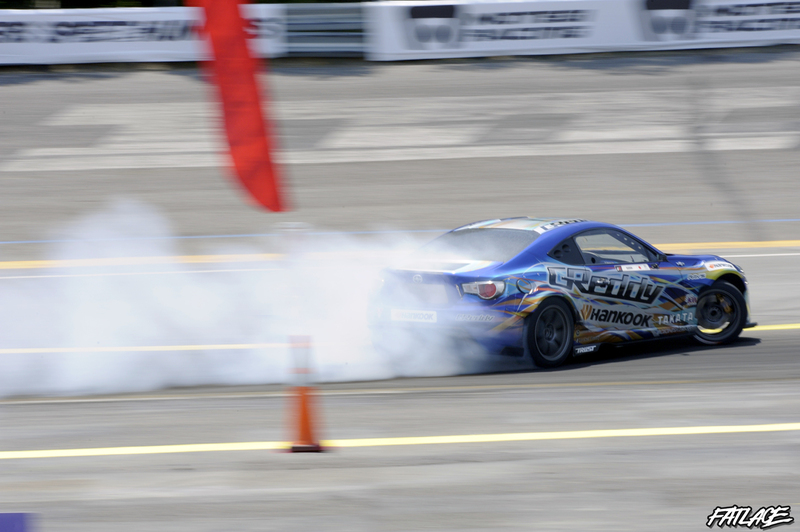 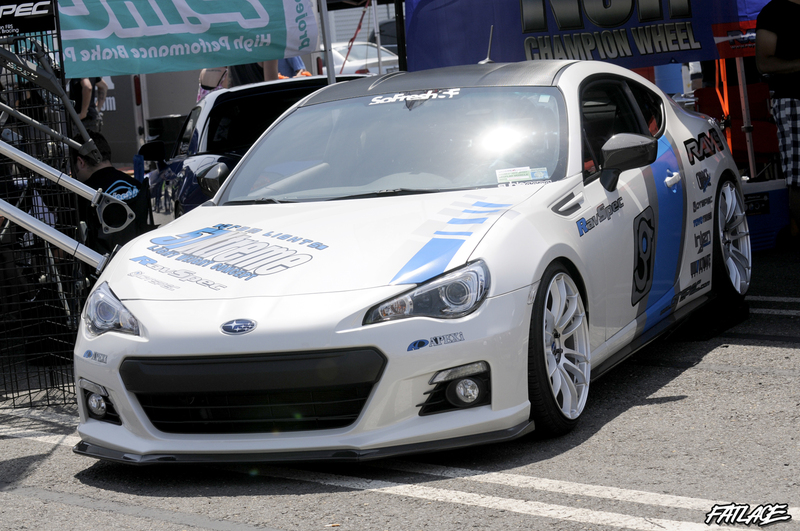 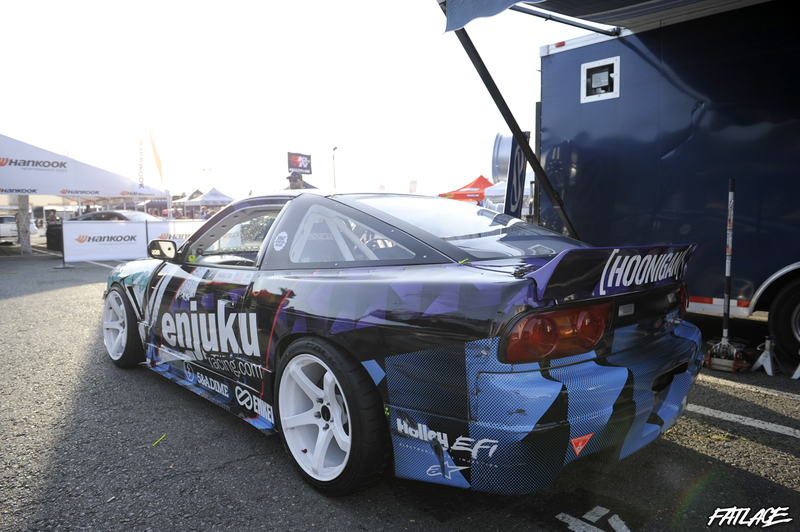 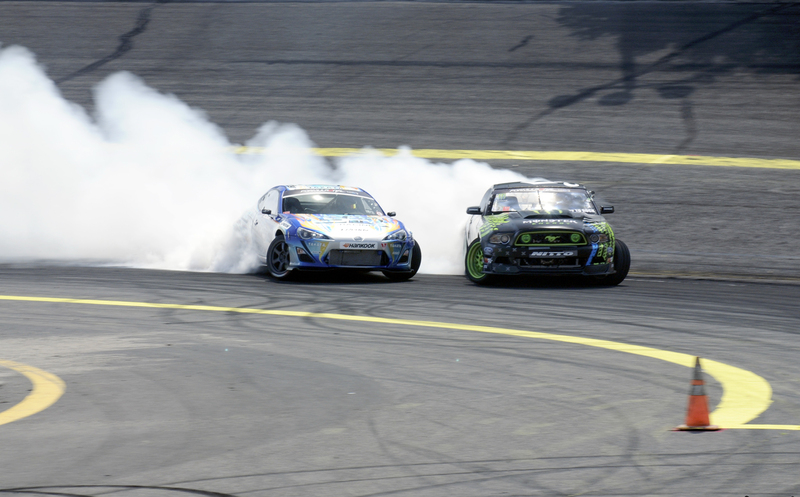 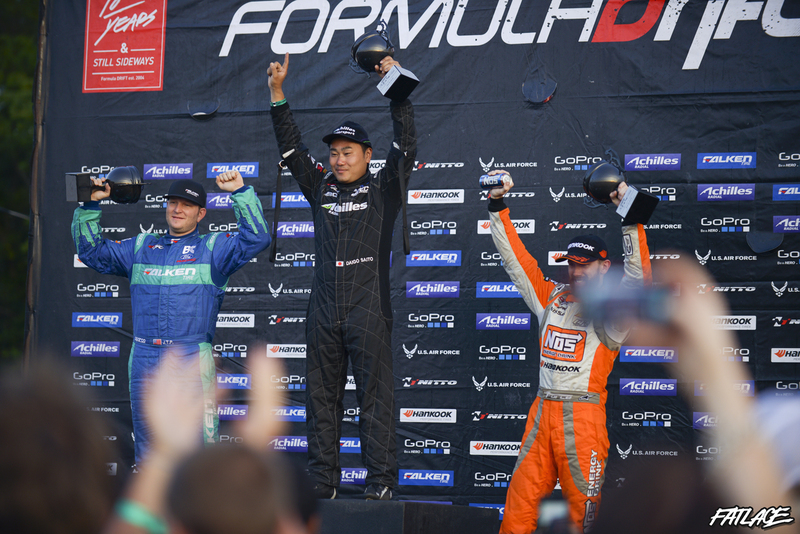 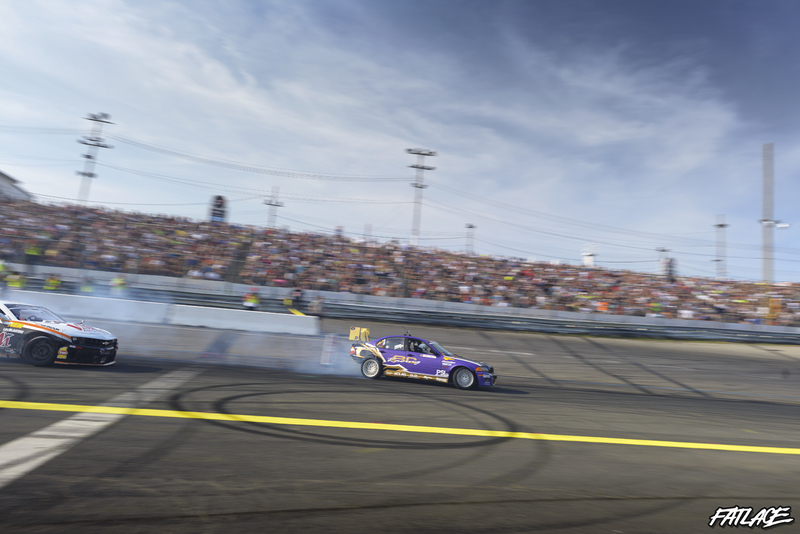 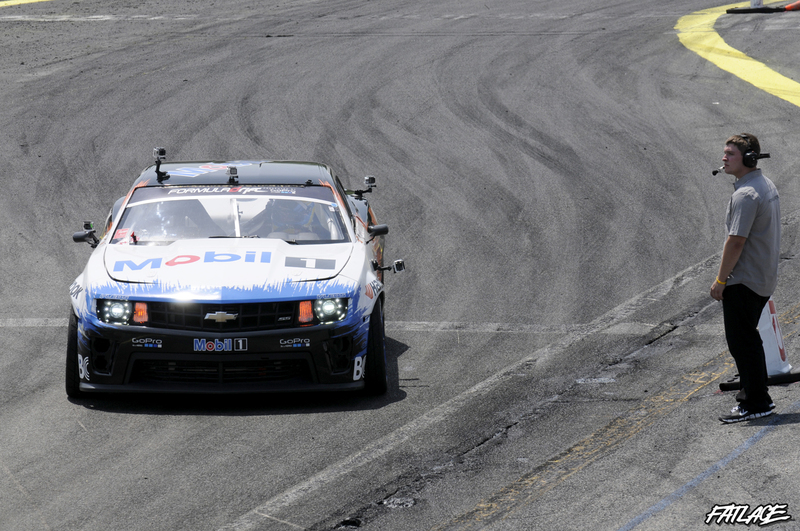 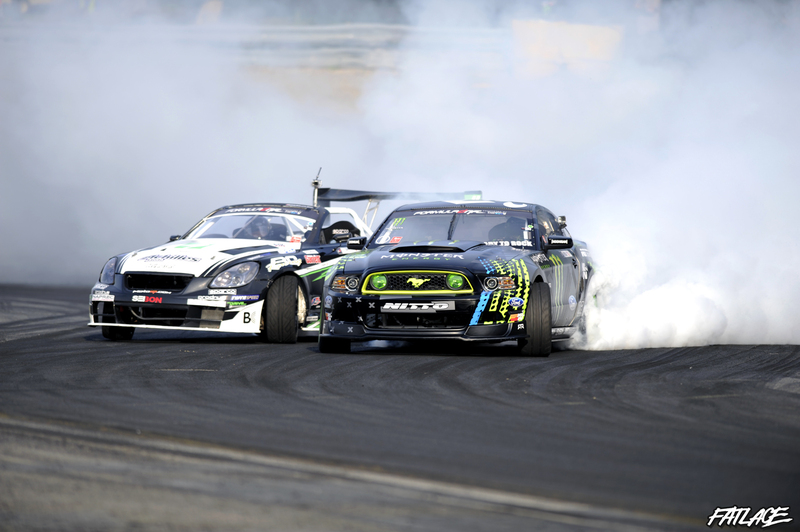 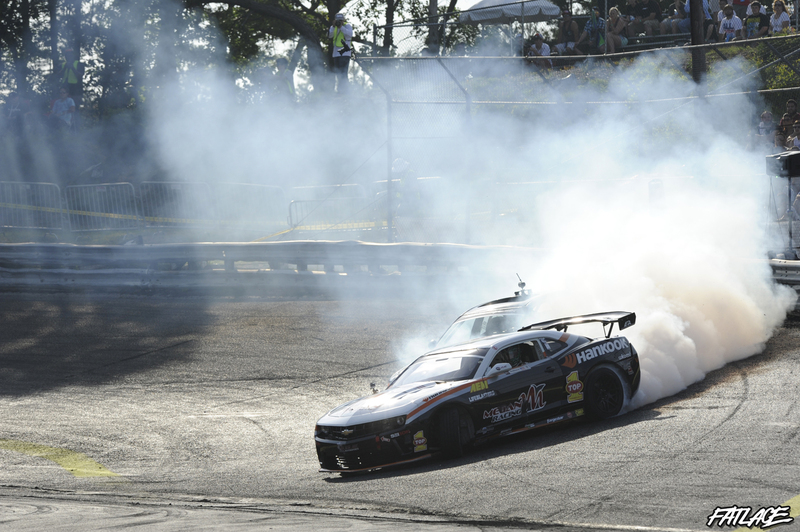 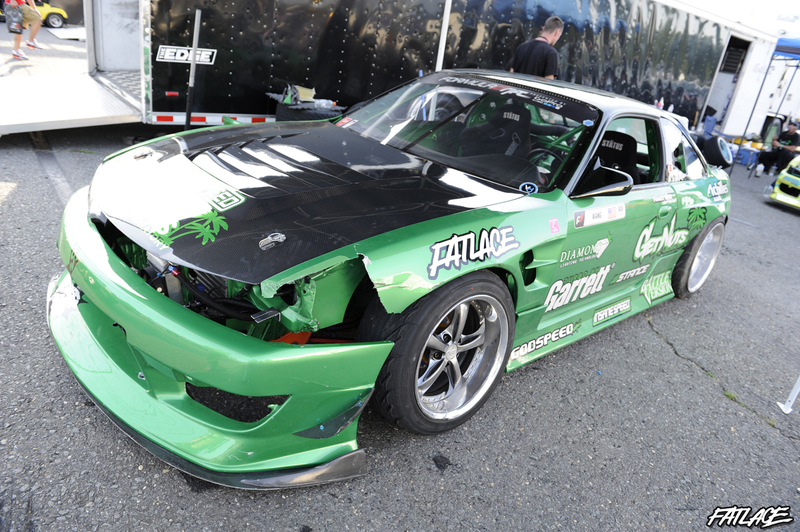 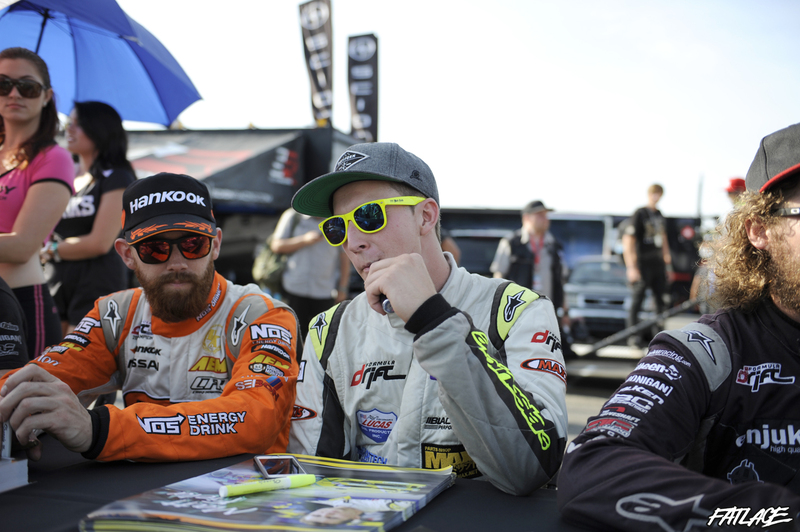 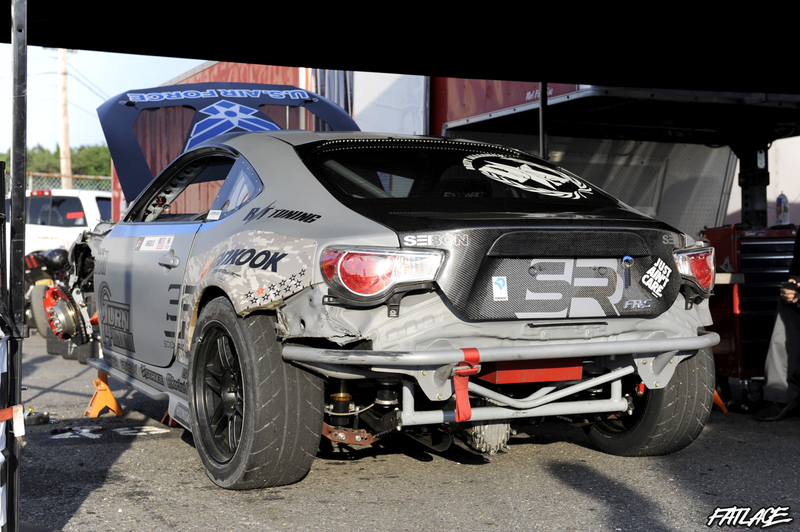 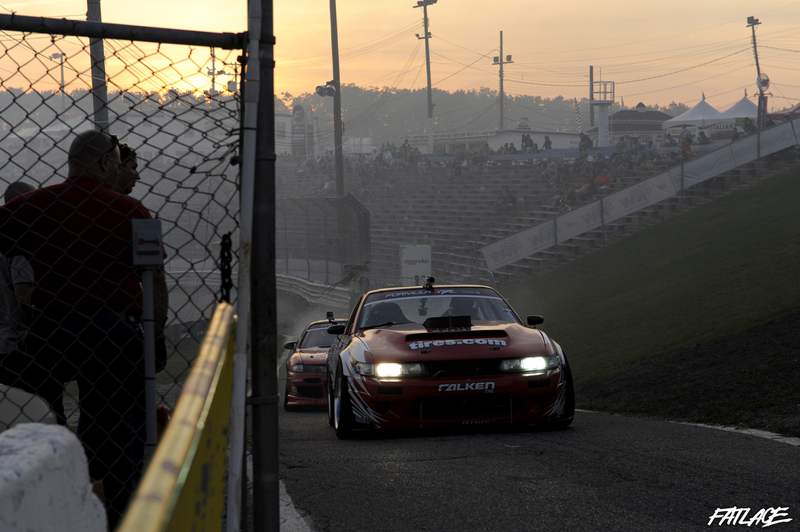 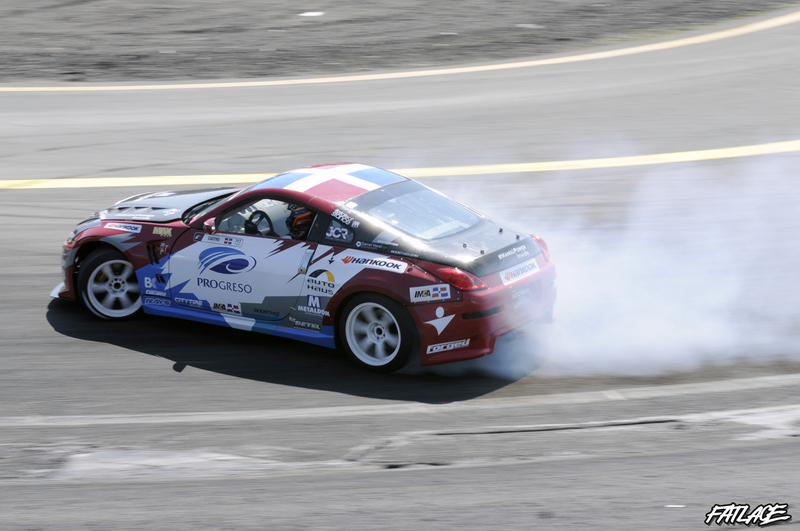 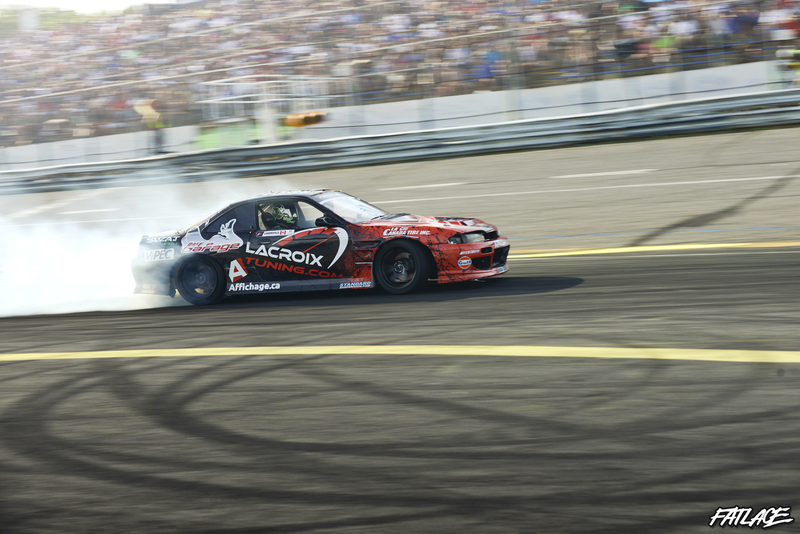 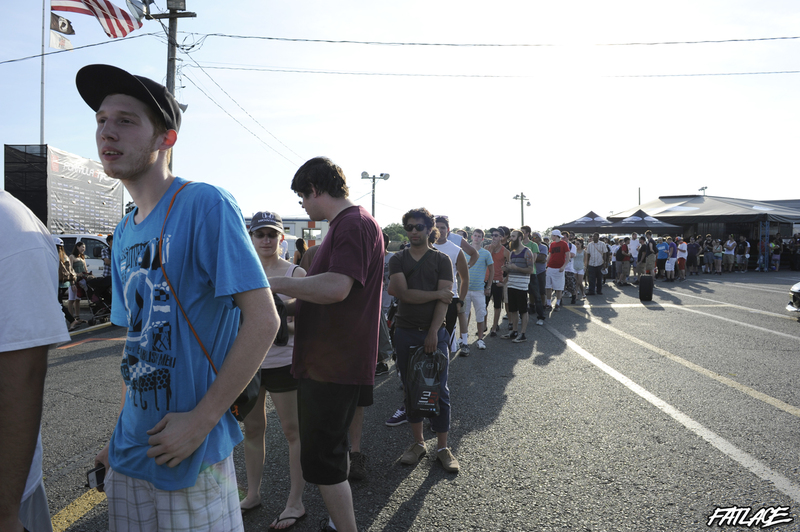 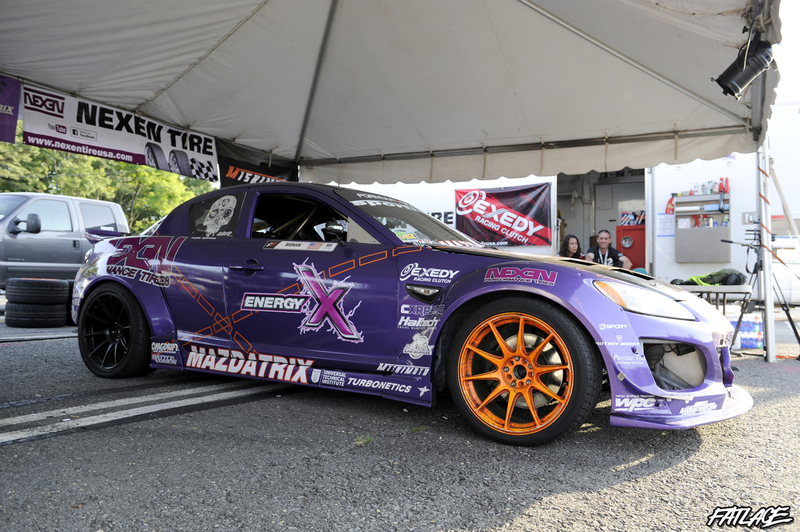 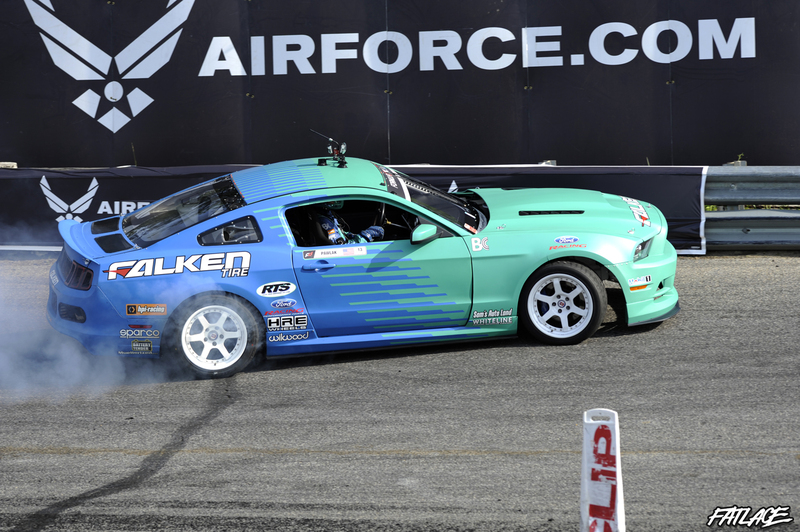 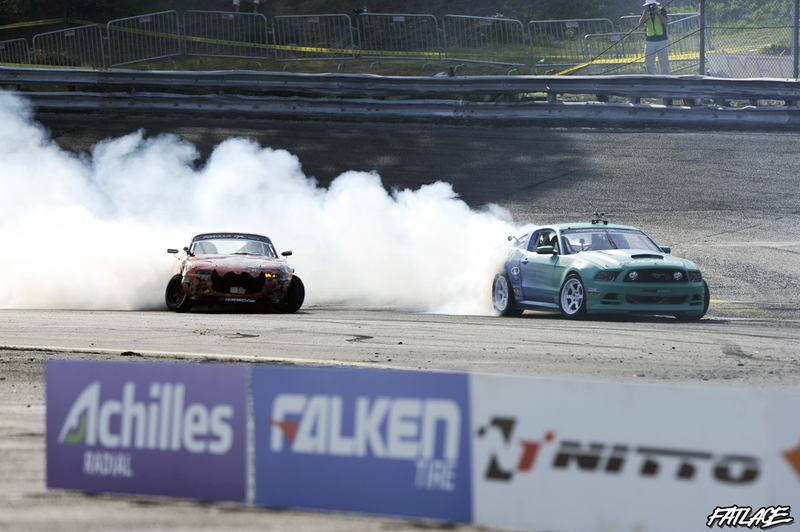 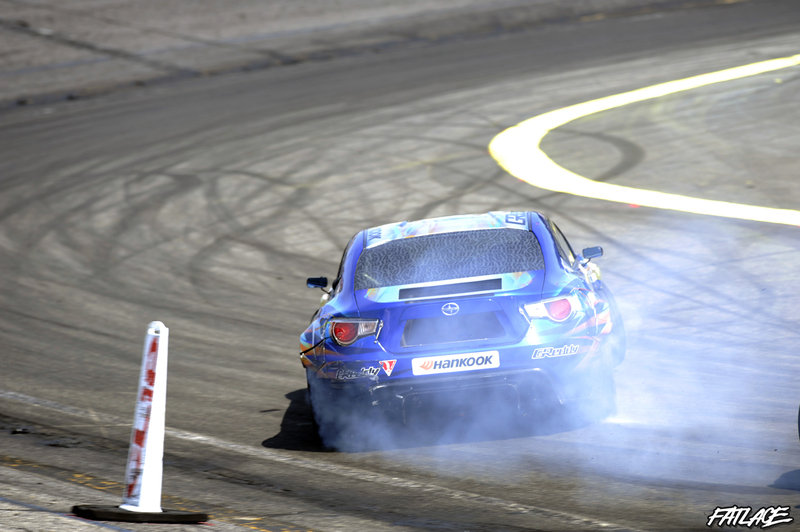 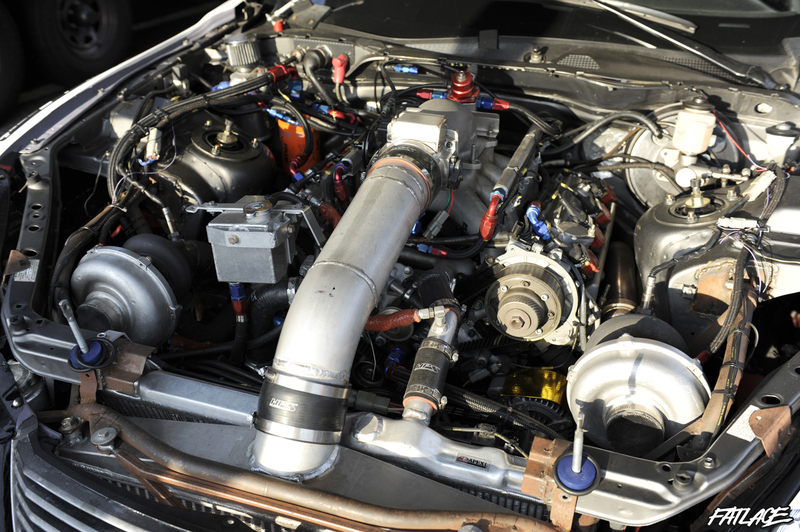 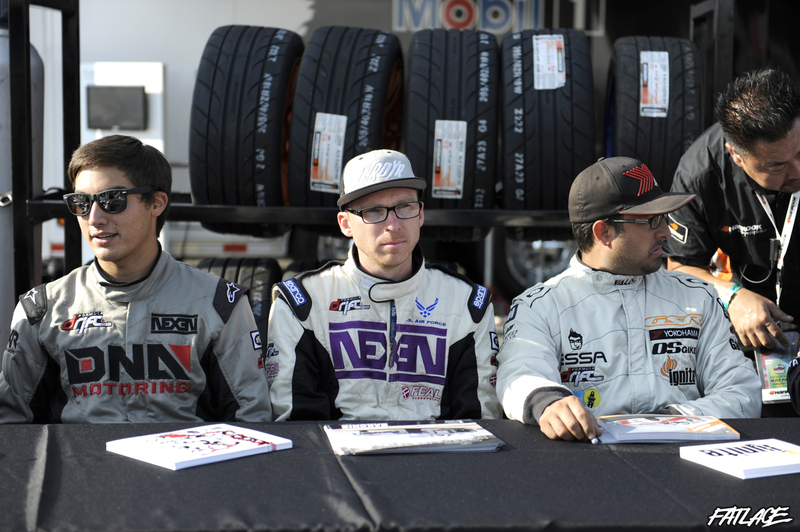 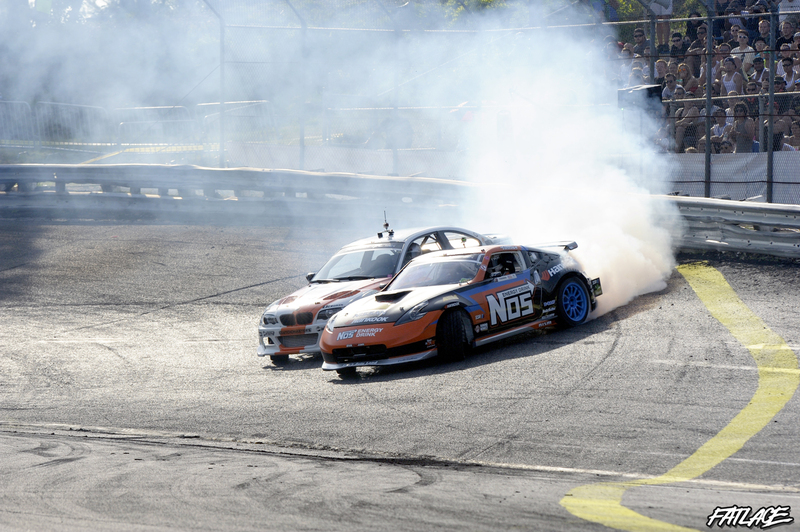 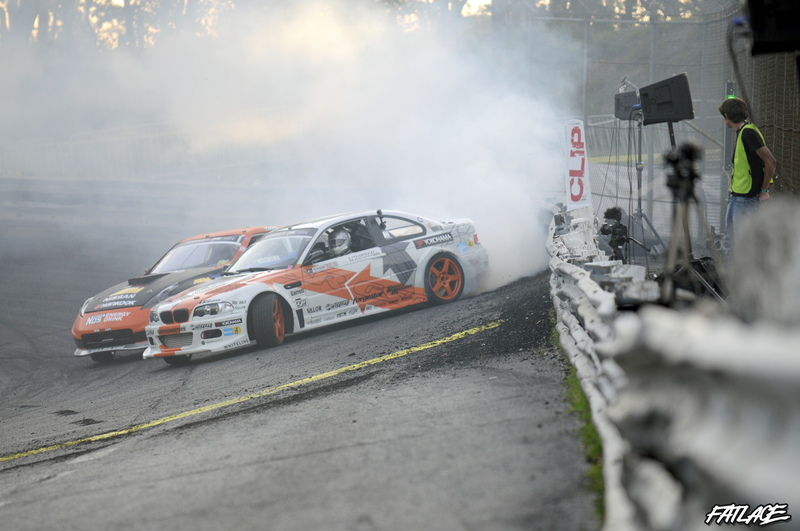 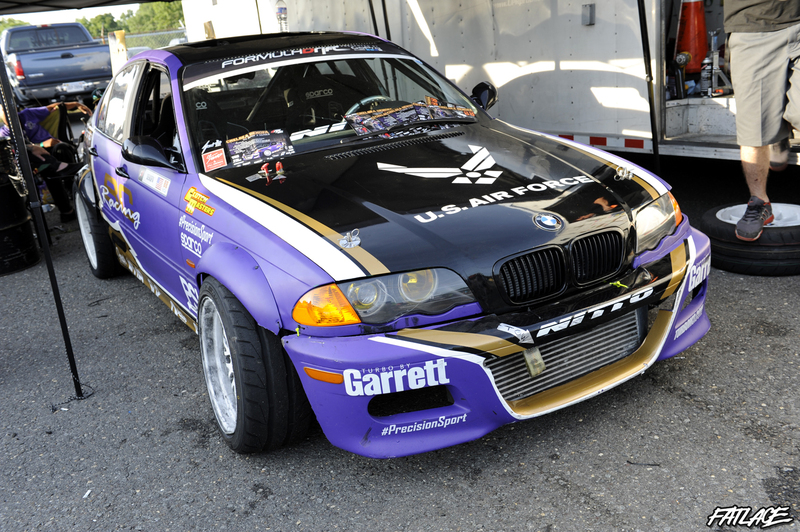 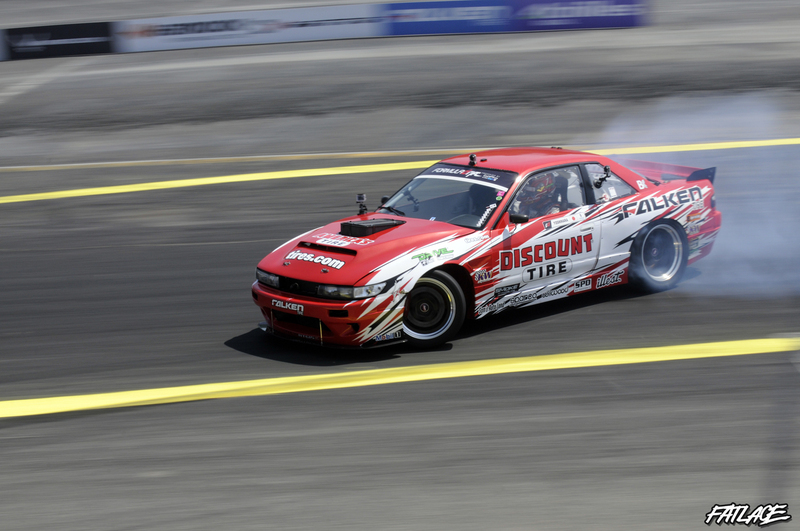 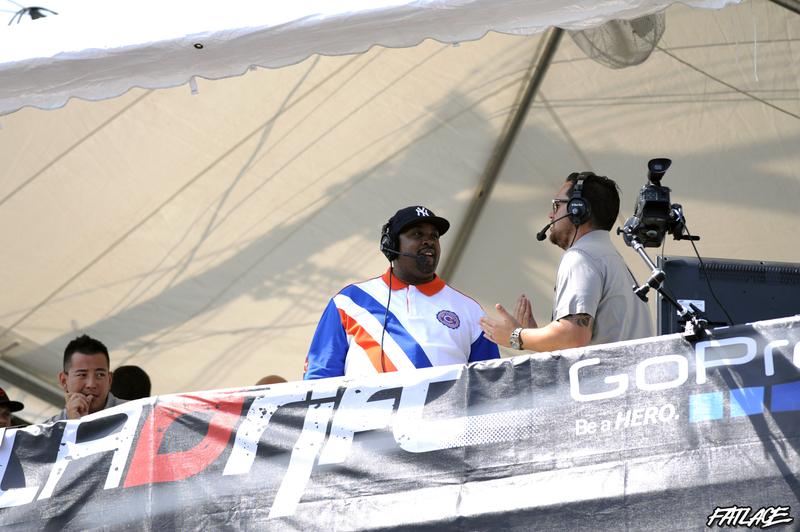 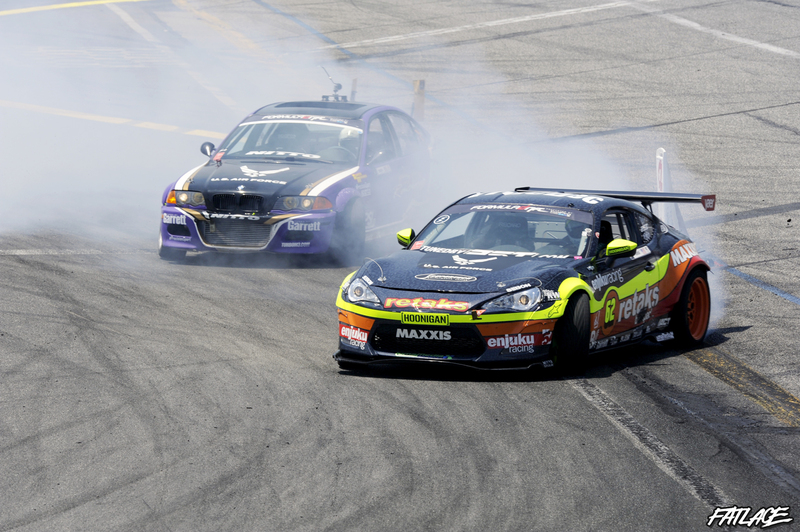 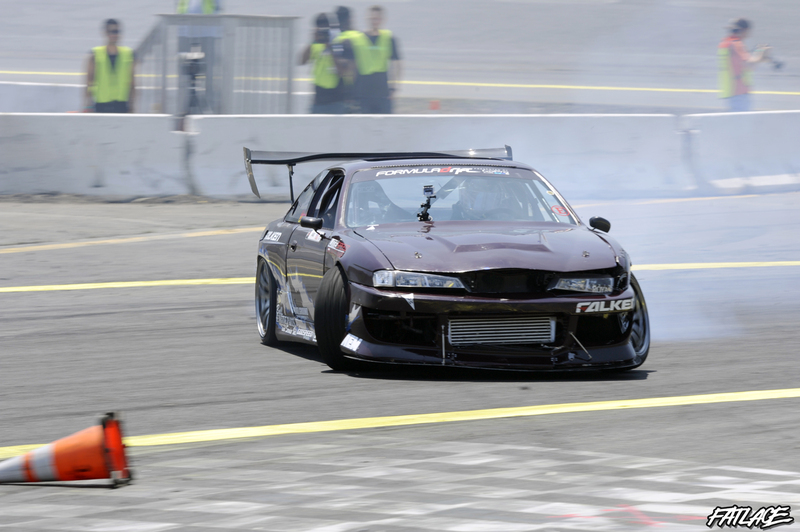 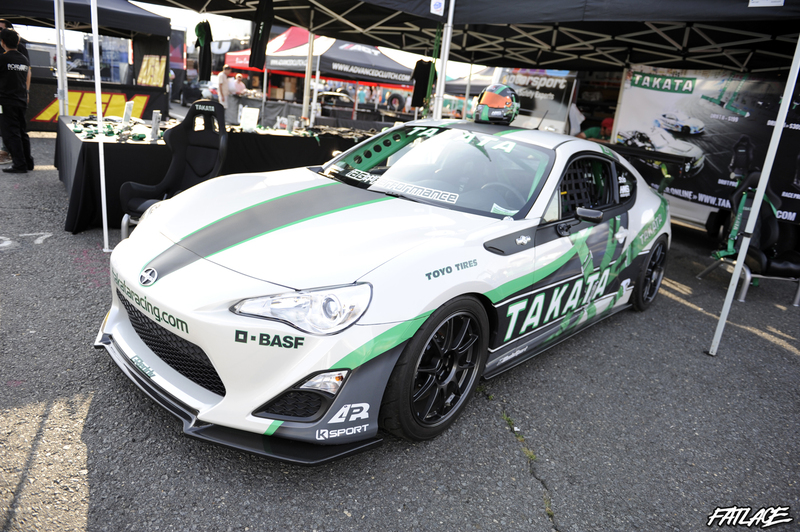 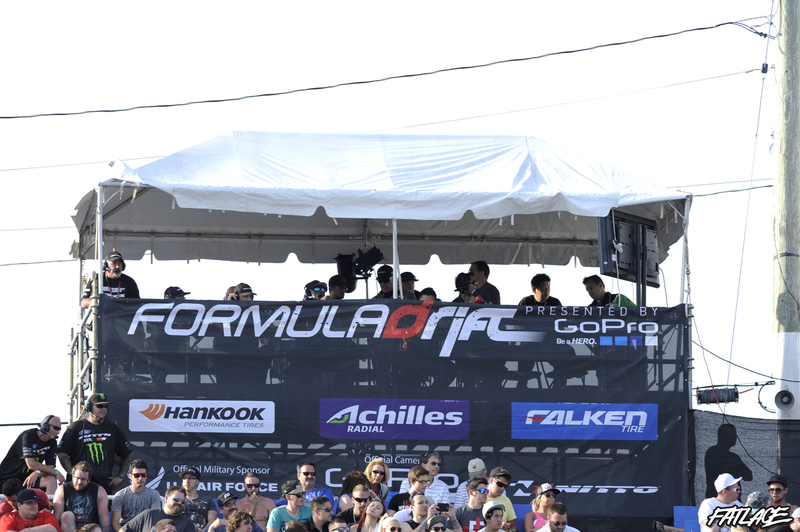 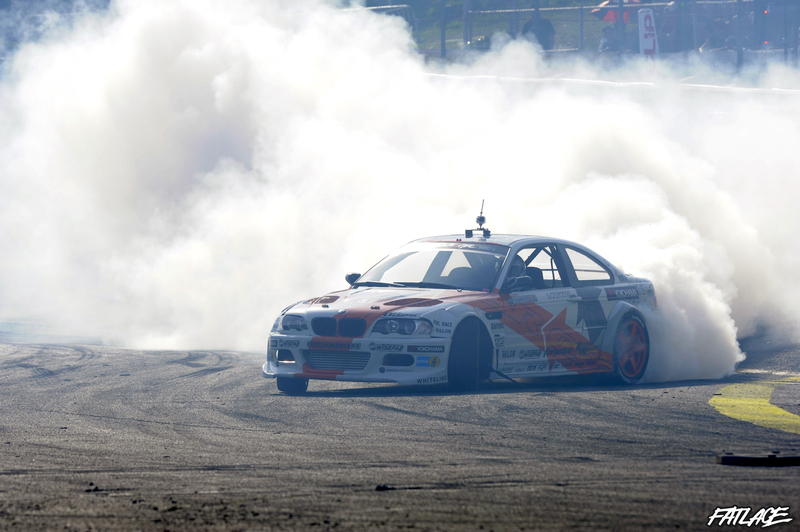 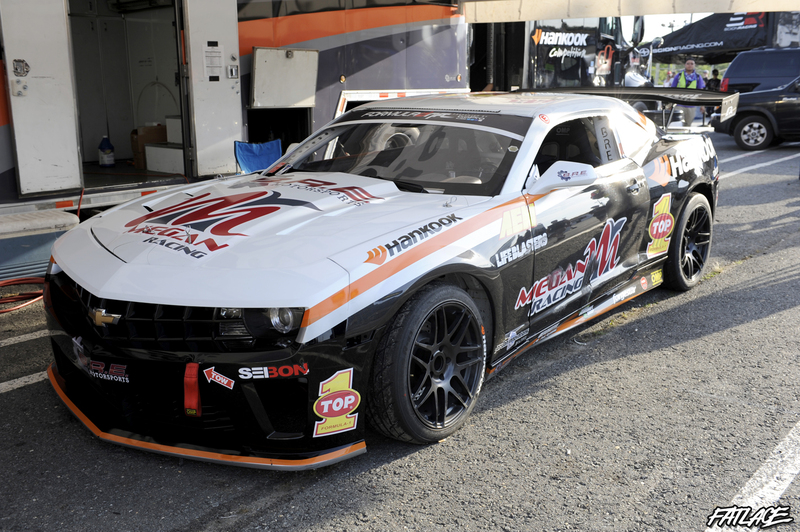 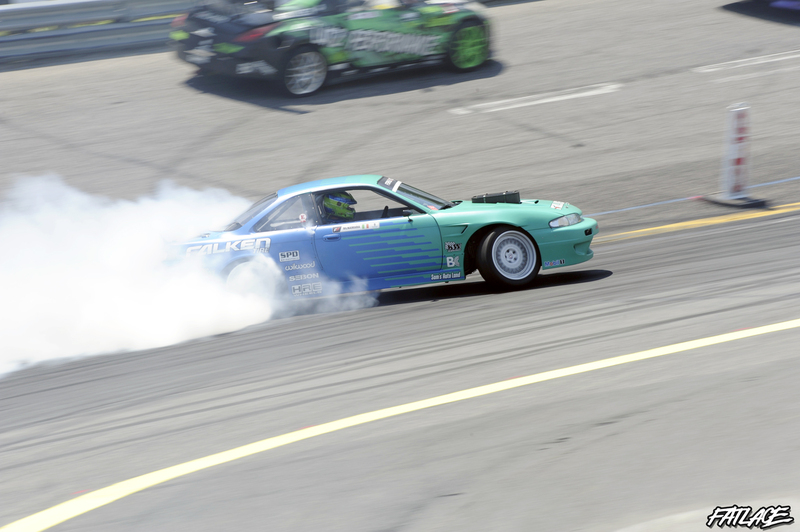 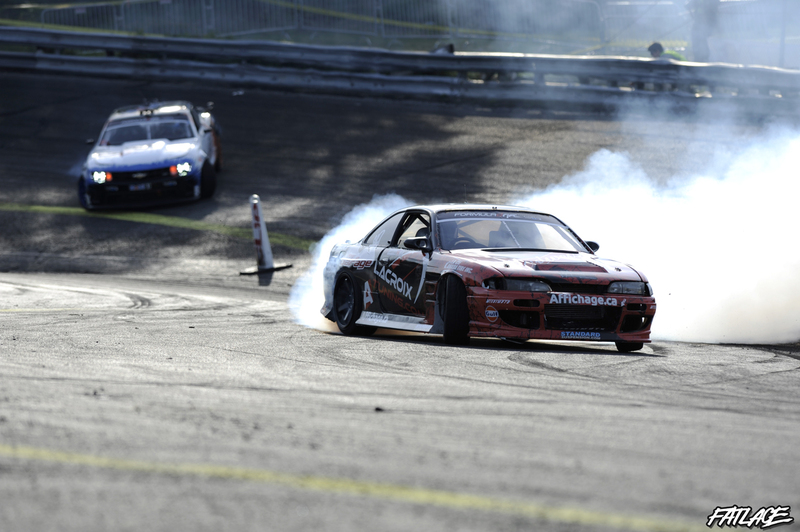 On top of that we were treated to world class action in front of a capacity crowd.” – Jim Liaw, via www.FormulaDrift.com. 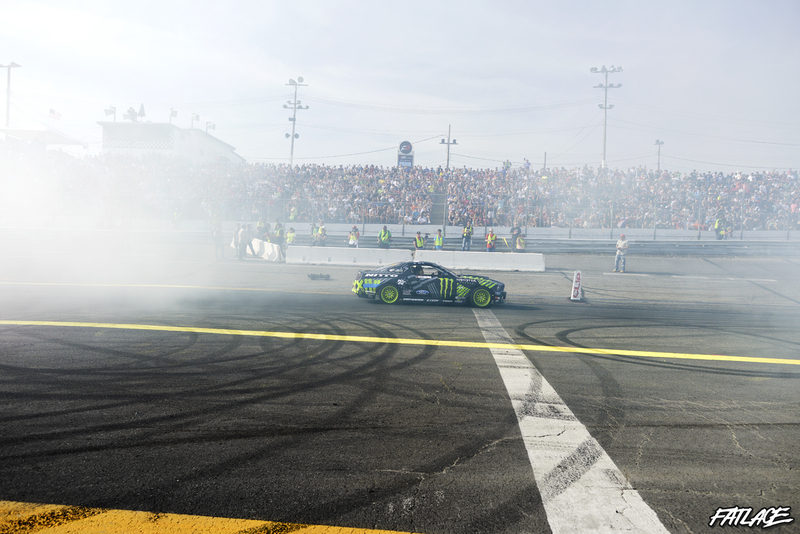 The series looks forward to returning next year and to bring the action back to NJ next season. 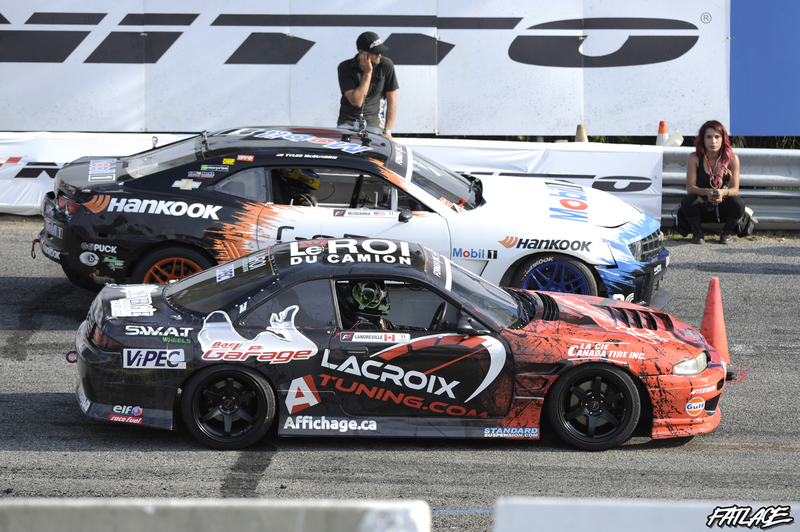 A new course configuration brought some new challenges to the drivers and made things exciting as they competed against each other finding the best approach and execution. 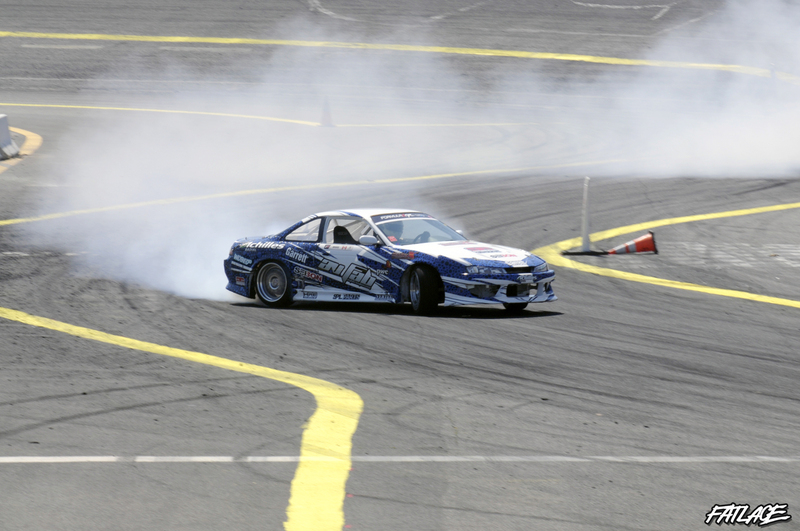 Instead of creating an eight figure, the new layout had the drivers snake around the oval twice through its swift clipping points and long/inclined banks. 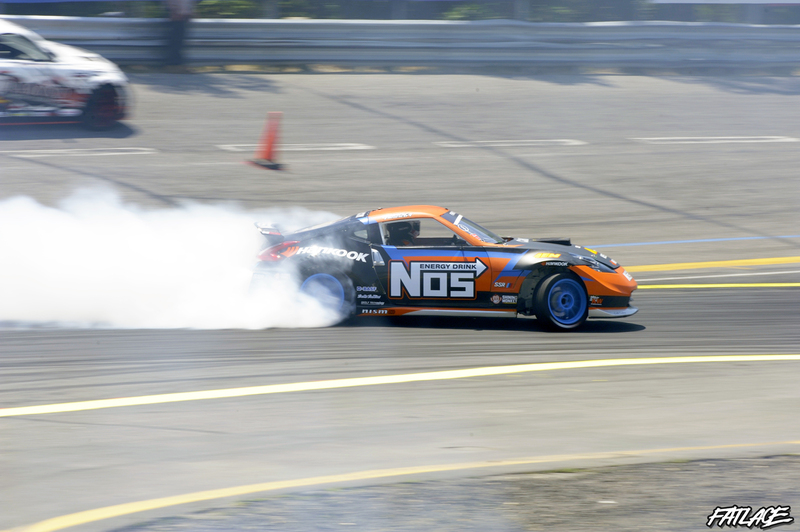 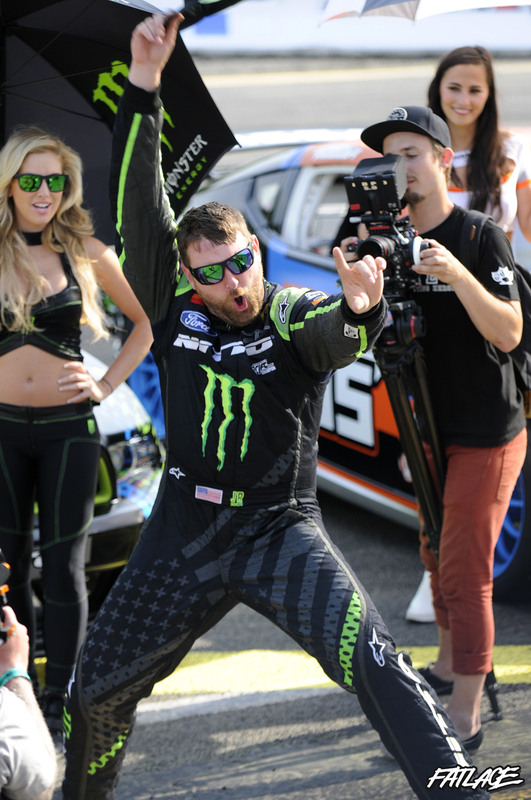 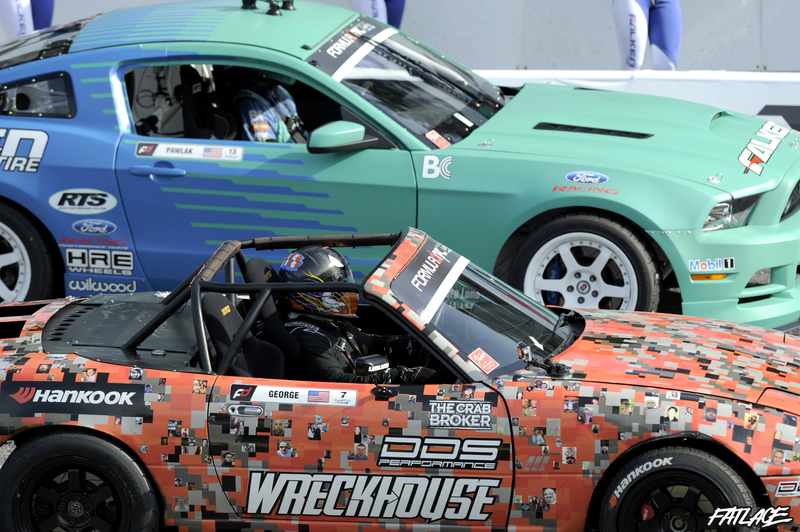 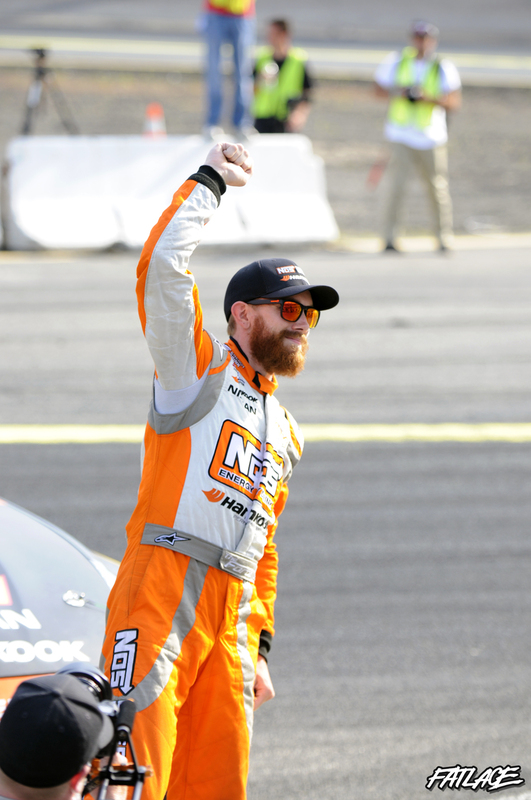 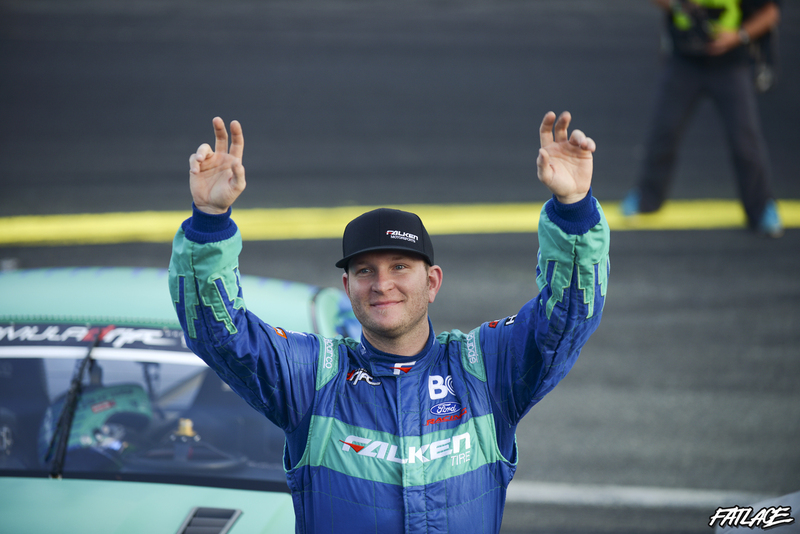 At the end of the day, Chris Forsberg in the NOS Energy Drink / Hankook Nissan 370Z beast finished third, Justin Pawlak in the Falken Ford Mustang finished second and Daigo Saito took the victory in his Achilles / Bridges Lexus SC430. 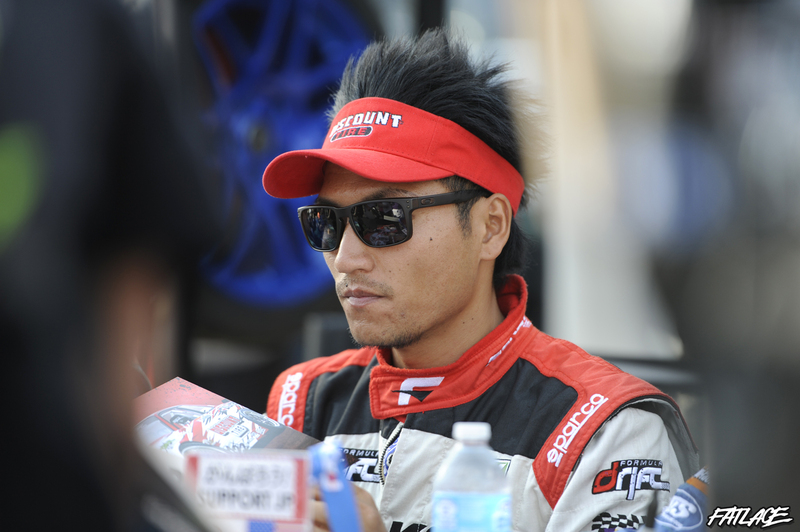 He expressed his excitement after conquering the Gauntlet, and maintaining first place in the race to the championship in a quick interview with Formula D. He said: “It feels like I won a championship tonight going against some of the top competition in the Series with Vaughn, Fredric, Darren and Justin and I look forward to the next event.” – Daigo Saito via www.FormulaDrift.com. 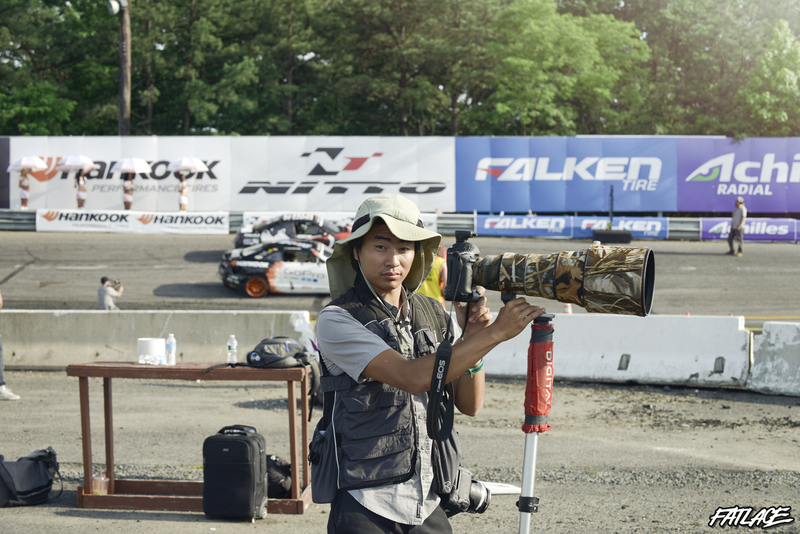 Kevin Choi, from www.KCImage.net and I went out and got plenty of images for you to experience the action over the weekend. 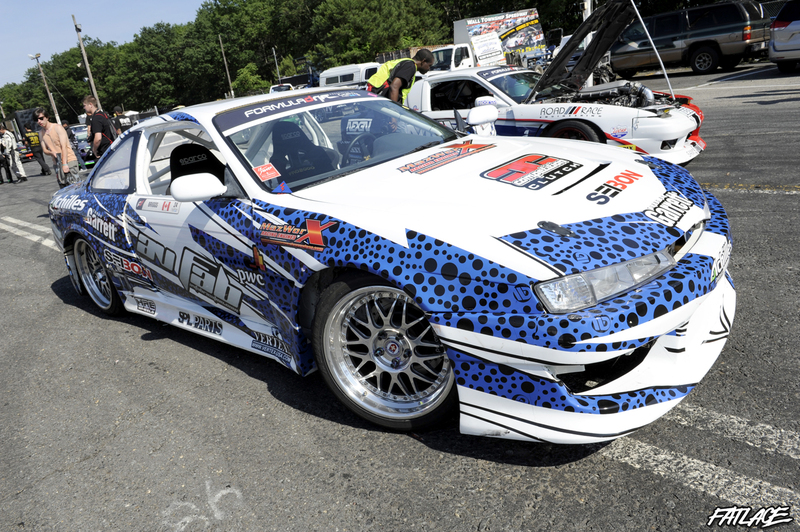 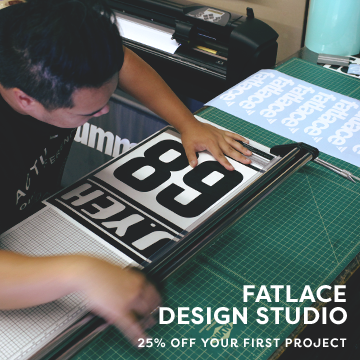 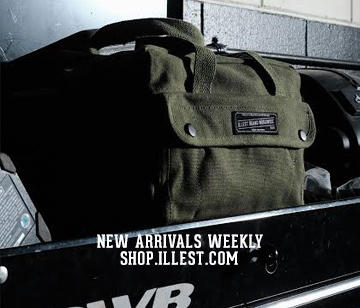 Feel free to share the images, and leave us any comments!